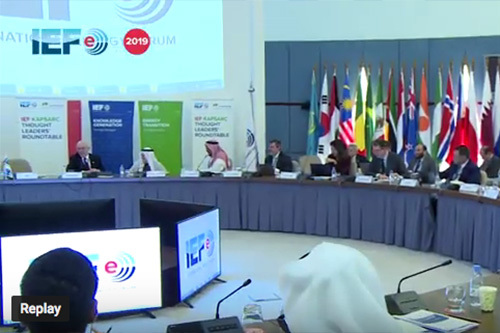 The IEF chaired an Inter Secretariat Meeting of JODI partner organisations among APEC, GECF, IEA, IEF, and OPEC in Vienna on 26-27 March 2018. 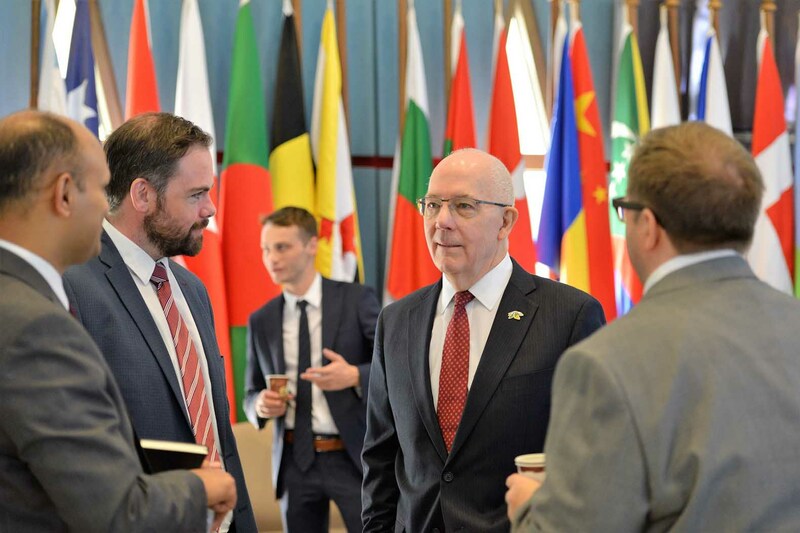 The meeting, hosted by OPEC at their Headquarters in Vienna, followed up on the progress on the various items per the 2015-2020 JODI Action Plan and the guidance from the JODI Heads & IEF Ministers. The plans to hold a JODI Conference late 2019 or early 2020. Partners reviewed the outline of the JODI Training Workshop for Sub Sahara Africa in April-May 2019, and took note of the plans to hold an APEC- JODI Workshop for Asia Region in Tokyo on June 2019, and the plan to hold a JODI User Seminar as part of the Japan Workshop for Tokyo based energy data users. Partners agreed to proceed on the organisations of a JODI Conference during 4th quarter of 2019 or early 2020. Partners also took note of progress made on planning for a JODI Information Seminar on the sidelines of the GECF Summit in Equatorial Guinea on November 2019. The seminar is expected to benefit from large attendance of key policy makers who are attending the GECF Summit. Energy research and data analytic company OilX presented to the JODI partners their business model which is characterised by the use of cutting-edge data sources such as satellite imaging combined with official data to provide real time data to energy analysts to support more accurate decision making. Furthermore, In the backdrop of increasing attention to digitalisation of the energy industry and policy implication, JODI partners and OilX discussed area of possible future cooperation. 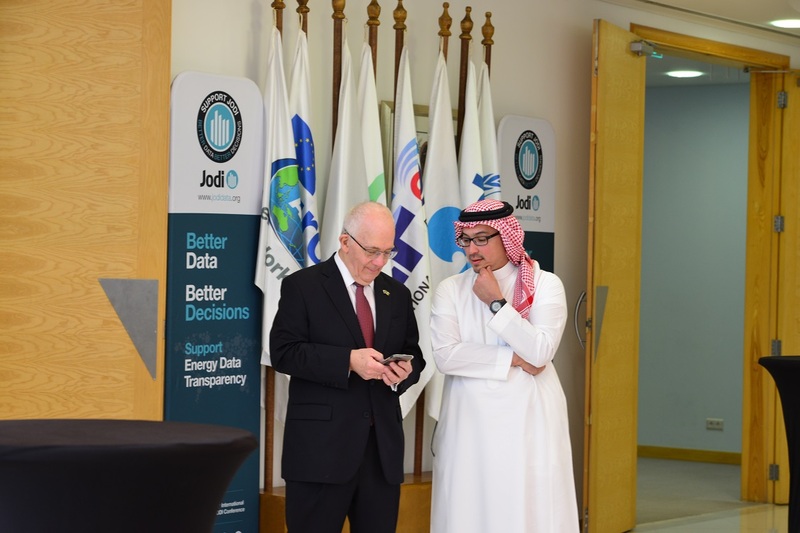 The meeting concluded that JODI Partners will continue to enhance global energy data transparency through actions identified in the 5-Year JODI Action Plan to begin developing the new JODI Plan that is due to cover 2020-2025. Efficiency Drivers and Gains in Hydrocarbon Supply Chains. Integrating Low-Carbon Energy technologies in the Upstream and Midstream. The Evolution of the Oil and Gas Business Model. Panelists noted that innovation to make hydrocarbon supply chains more competitive and sustainable is the fastest and easiest way to reduce emissions and highlighted carbon efficiency, industry restructuring to unlock synergies that reduce cost and capture value as key levers. Discussions focused on the role of carbon capture use and storage and other technologies including new opportunities offered by digitalization in detection to reduce harmful emissions, the development of premium fuels and more efficient energy conversion processes, as well as the reemergence of hydrogen derived from hydrocarbons, renewable, nuclear, and waste materials in enabling successful transformations. Panelists also highlighted the importance of cohesive government-industry partnerships to formulate and advance consistent innovation agendas that mobilise investment, broaden public acceptance and create consensus. The Fifth IEF-KAPSARC Thought Leaders' Roundtable follows up on the call by IEF Ministers to pool efforts in globally integrated frameworks to accelerate energy efficiency gains across the full energy sector spectrum and leverage the IEF Energy Efficiency Knowledge Sharing Framework in collaboration with relevant organisations and governance platforms globally. 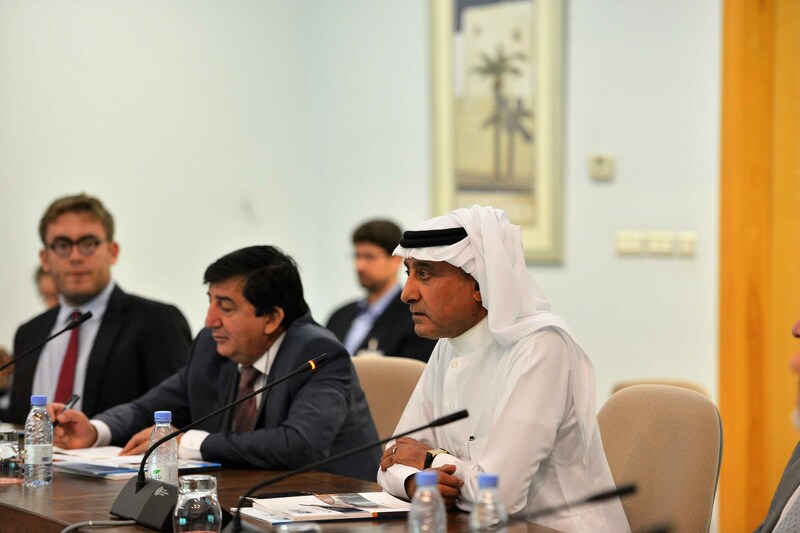 Outcomes will also help to inform the global energy dialogue that the IEF pursues including but not limited to the 8th Asian Ministerial Energy Roundtable hosted by the United Arab Emirates on 9-10 September 2019 in Abu Dhabi with India as a co-host alongside the 24th World Energy Congress, and the 17th International Energy Forum Ministerial hosted by China in 2020 with Morocco as the co-hosting country. 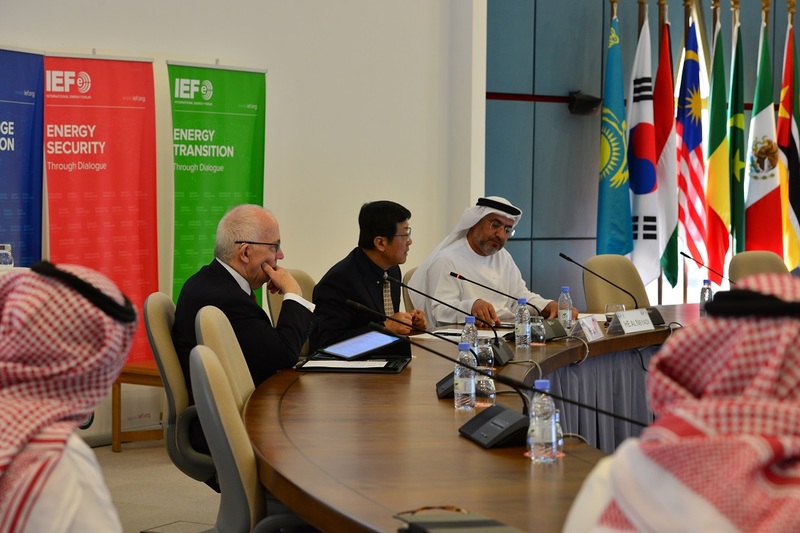 IEF Secretary General, Dr Sun Xiansheng, welcomed the Undersecretary of the Ministry of Energy and Industry of the United Arab Emirates, Dr Matar Hamed Al Neyadi on 24 February 2019 to give a lecture on the realities of the energy landscape and the need for energy transition. In his presentation Dr Matar Hamed Al Neyadi noted that energy consumption and production represent around two-thirds of the global greenhouse gas emissions and 81% of the global energy mix is still based on fossil fuels; the same percentage as 30 years ago. Energy transitions are needed to shape a more secure, sustainable, and affordable energy systems for all that respond to global energy-related challenges, while creating value for business and society, without compromising the balance between energy security, access and environmental sustainability, and inclusive economic development and growth. Dr Matar Hamed Al Neyadi highlighted that hydrocarbons will continue to play a major role in energy matrices, but that renewable energy and efficiency measures could potentially achieve 90% of required carbon reductions according to the International Renewable Energy Agency. 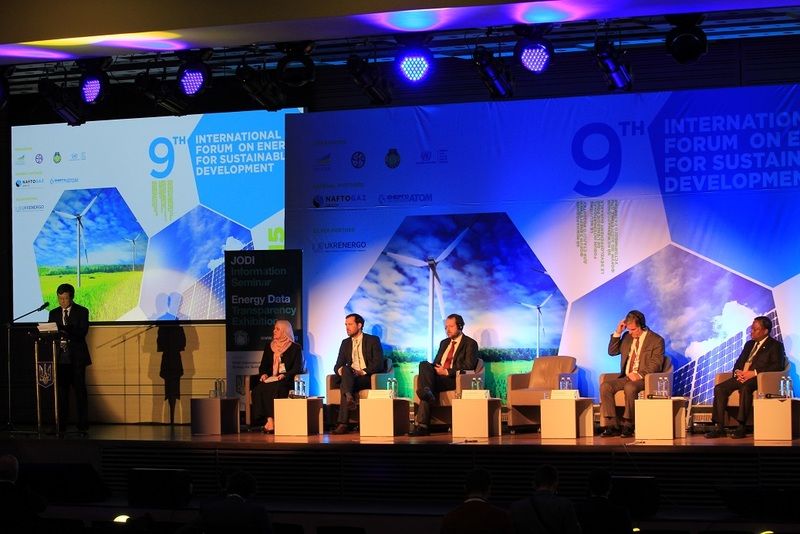 Providing further insights into the policies that the United Arab Emirates pursues to achieve a 50% clean energy mix by 2050 he referred to the deployment of renewable and nuclear energy technologies, energy efficiency and other demand side measures as key drivers. 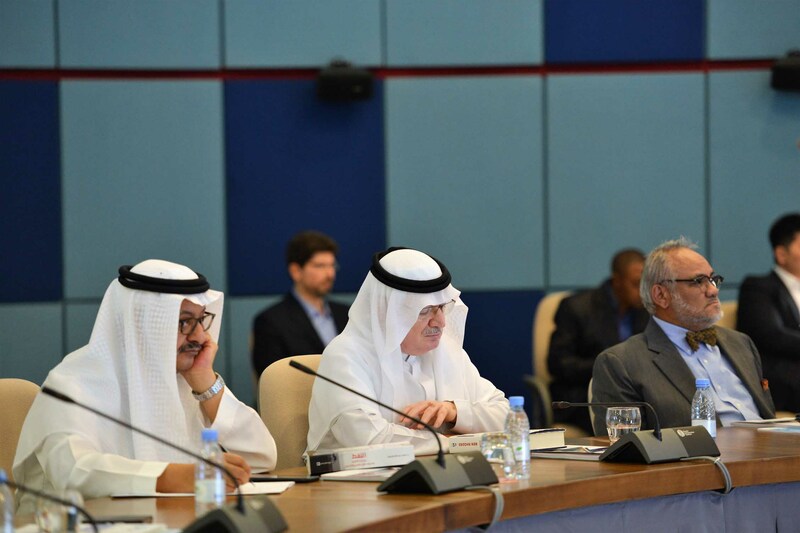 Discussions focused on the progress made in establishing an Arab energy market and how to advance renewable technologies, through greater interconnections and the provision of flexibility and balancing services including storage, for successful energy transformations within the region. Discussants noted that investment in research and development and communication on the role of new and existing technologies is key to improve energy sector performance and better inform policy. 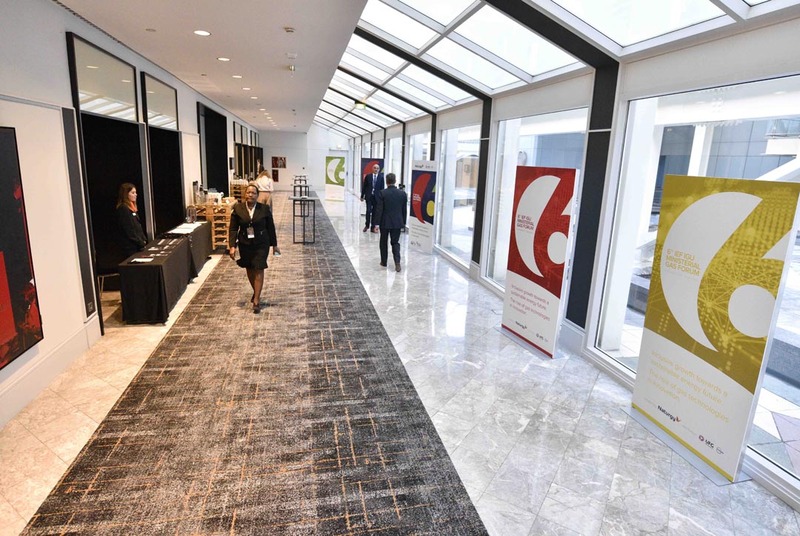 The International Energy Forum (IEF) took part in the first meeting of the G20 Energy Transitions Working Group (ETWG) held in parallel with the first Environment Senior Officials Meeting (ESOM) on 12-13 February 2019 in Tokyo. With the aim to accelerate the virtuous cycle of environmental protection and economic growth by innovation ETWG and ESOM meetings shall work in tandem towards the first joint energy and environment ministers meeting on Energy Transitions and Global Environment for Sustainable Growth convening on 15-16 June in Karuizawa under the G20 Presidency of Japan. 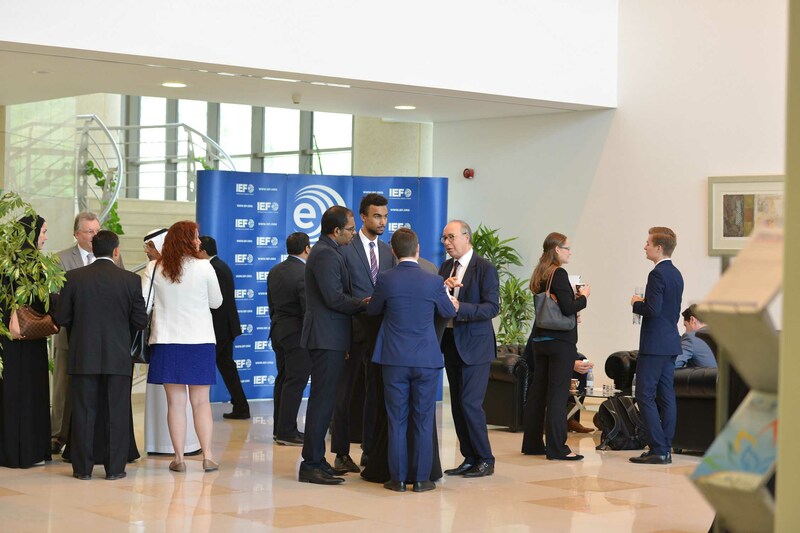 ETWG sessions focused on the possibilities of innovation in the energy sector, developments in energy demand and supply, and international oil and gas market security. The IEF was invited to present the achievements gained from cooperation between consumers and producers, activities contributing to energy security and energy transitions, as well as greater energy data transparency to improve secure and sustainable energy market functioning in the framework of the Joint Organisations Data Initiative (JODI) coordinated by the IEF with JODI Partner Organisations (APEC, Eurostat, IEA, GECF, OLADE, OPEC, UNSD). 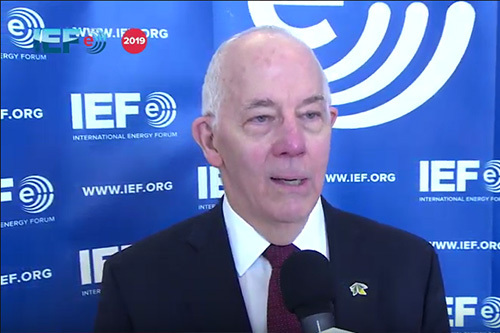 Among the many initiatives ongoing to stabalise markets and advance orderly energy transitions the role of the IEF and JODI are key the chair noted in his summary. Discussions highlighted the need to advance investment and innovation in the energy sector and focussed on the role of new technologies to accelerate successful energy sector transformations. Liquified Natural Gas (LNG) and other new gas technologies, renewables integration, cleaner use of hydrocarbons, as well as infrastructure resilience are all important levers to improve market conditions and enable greater energy access and resource efficiency. 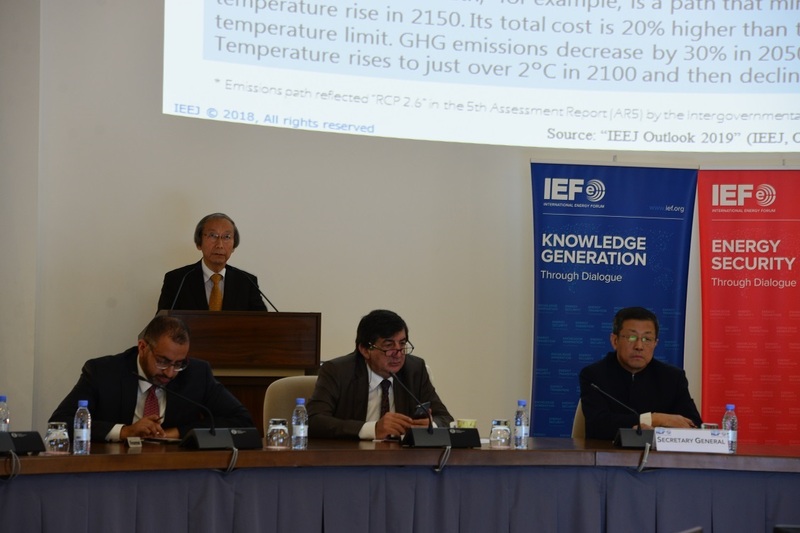 IEF Secretary General, Dr Sun Xiansheng, welcomed Mr Masakazu Toyoda, CEO and Chairman of the Institute of Energy Economics (IEEJ), to the IEF Secretariat on 17th January to give a presentation on the IEEJ 2019 energy outlook and provide a perspective from Japan on the world energy future. Mr Toyoda discussed trends in world energy supply and demand balances to 2050, on the basis of three IEEJ scenarios that compare results for maintaining current energy and environmental policies in place, to the introduction of powerful new policies and low carbon technologies, and efforts to keep global warming within the 2 degrees Celsius threshold at a reasonable cost to society. In the reference scenario global primary demand will increase by 1.4 times in 2050 and over 60 percent of that demand growth will come from China, India and the ASEAN countries. While decoupling of economic expansion from energy demand growth proceeds and reduces demand growth rates in the OECD, the share of Asia in total primary energy demand will amount to almost 50%. Global electricity demand will double by 2050 accelerating at a faster pace in Asian economies than in the non Asia region growing from 21% to 30% and from 20% to 28% over the projection period respectively. Coal will play a smaller yet still vital role in Asia’s power generation while natural gas and renewable advance. From an Asian perspective, energy imports and reliance on overseas supplies will increase sharply when 80% of energy traded globally will be consumed in Asia. Although the share of fossil fuel consumption decreases to around 69 % by 2050 in the advanced technology scenario, high dependency on fossil fuels will continue. Greater investment, technology advances, and efficiency gains will be required to ensure energy security and environmental sustainability. This will limit the energy import reliance of Asian economies and lead to a substantial reduction in CO2 emissions by 2050. Mr Toyoda presented a model to ensure a balanced approach between mitigation, adaptation and costs to effectively mitigate the negative effects of climate change over long-term horizons. 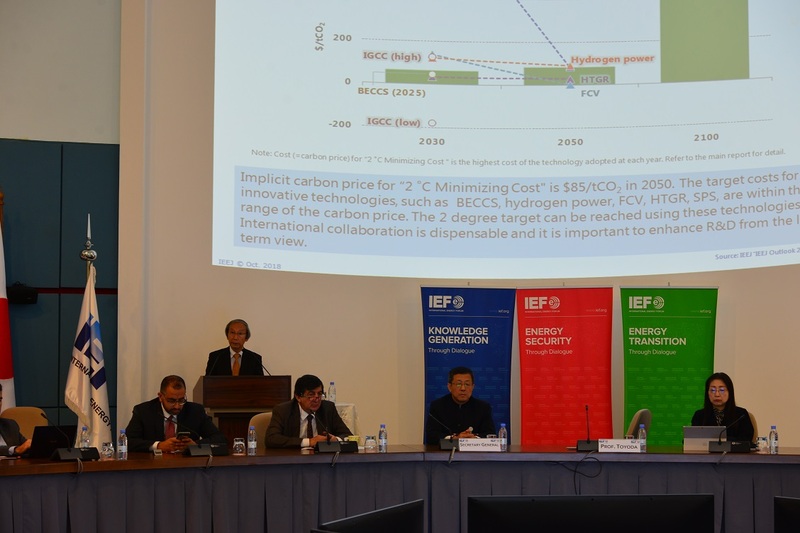 Focussing on the role of technologies, he highlighted advances in the production of carbon-free hydrogen by steam reforming of fossil fuels in combination with Carbon Capture and Storage alongside other technologies. After discussing the risks and impacts of energy supply disruptions, and a moratorium on new coal fired power plants, Mr Toyoda concluded his presentation with the recommendation that more focus should be on placed on innovative technologies that can balance energy demand with environmental responsibility. The 17th Regional JODI Training Workshop targeting MENA countries was held in Beirut, Lebanon from 11-14 December 2018. 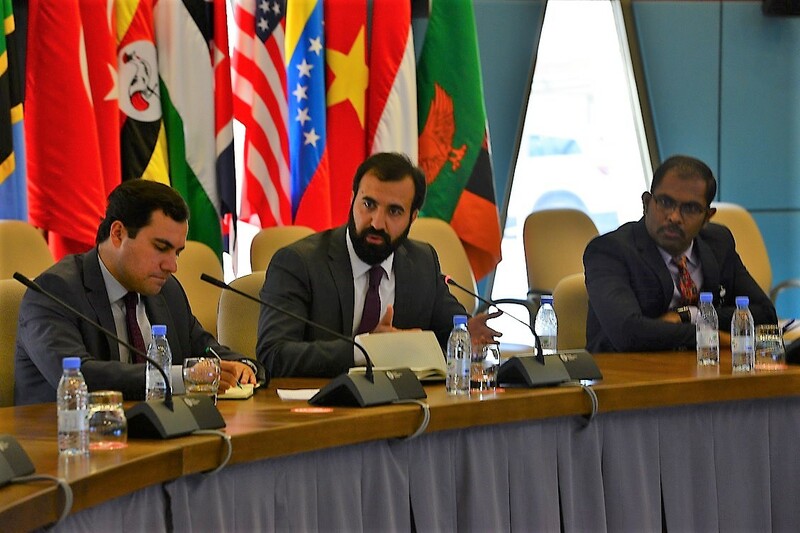 Coordinated by the IEF, the workshop was held as part of Training on Energy Statistics hosted by the United Nations Economic and Social Commission for Western Asia (UNESCWA). 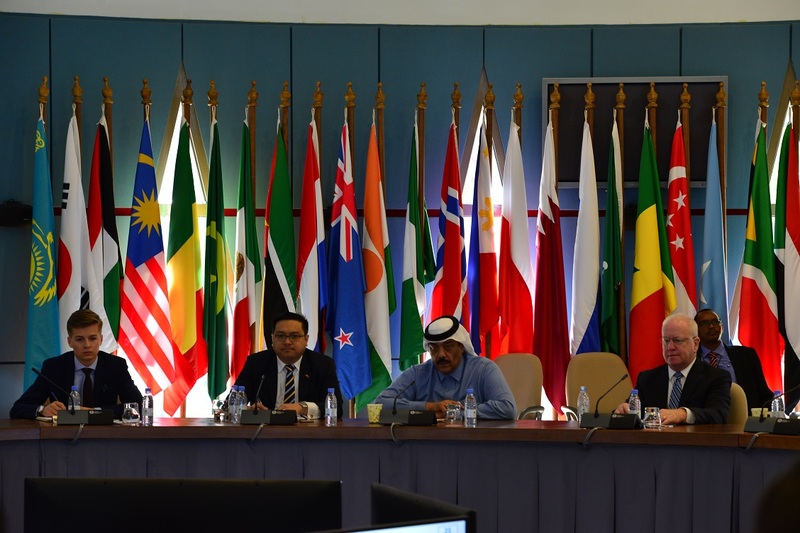 It was supported by the International Energy Agency (IEA) and other JODI Partners, including GECF, UNSD and the newest JODI Associate, OAPEC. 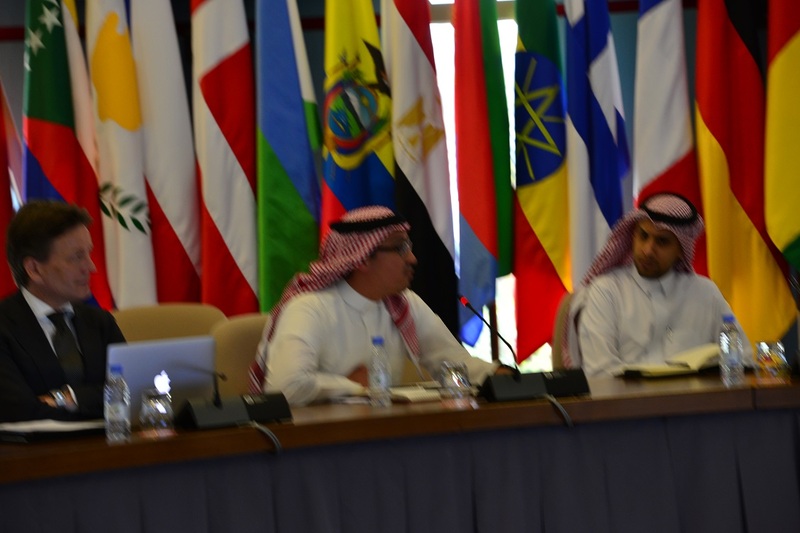 More than 30 delegates from 17 countries took part in the workshop which improved support of the Joint Organisations Data Initiative (JODI), and raised awareness of the importance of data transparency while strengthening capacity of statistical agencies in the Middle East and North Africa. The workshop was aimed at relevant energy data professionals in charge of energy data collection and dissemination at national administrations. 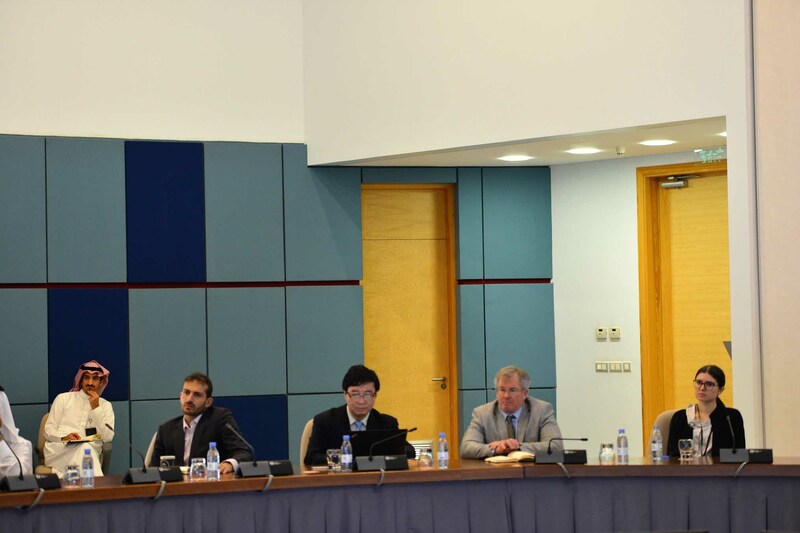 Through presentations, discussions and practical exercises the regional statistical capacity was strengthened towards the shared aims of improved energy data transparency. For the first time in the history of JODI, the workshop was held in association with a training programme on building annual energy balances from comprehensive energy commodity statistics. The cooperative spirit of JODI among international organisations has enabled such joint programme, which provids a comprehensive picture of energy data compilation activities and their application for better decision. 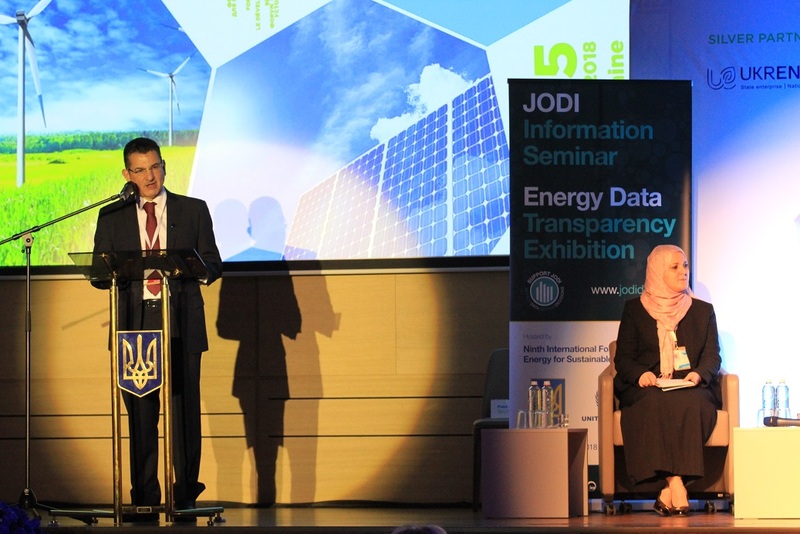 Several of the JODI partner organisations sent experts to present on the merits and technicalities of JODI, highlighting the importance of cooperation in delivering upon ministers’ calls for global energy data transparency. 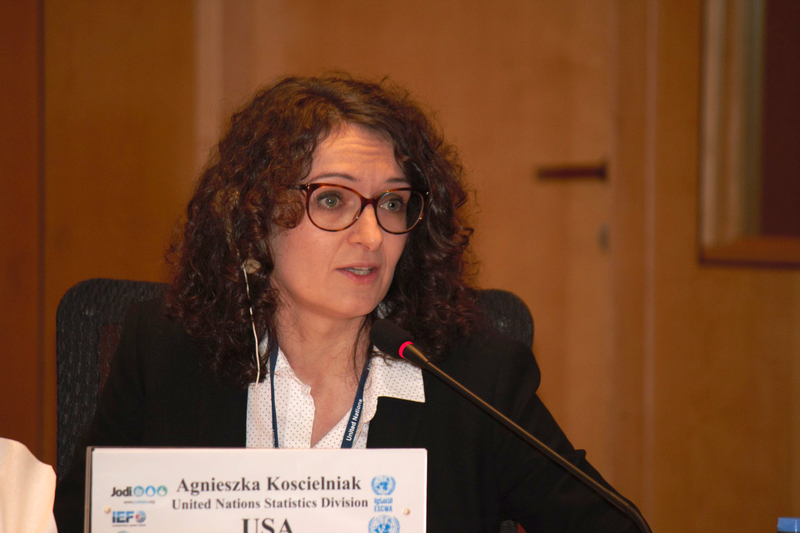 The International Energy Agency presented the uses of JODI data including the importance of data granularity for data usability. Their perspective offered valuable insight into the needs of specific definitions and consistent submissions to build a more informed energy future. 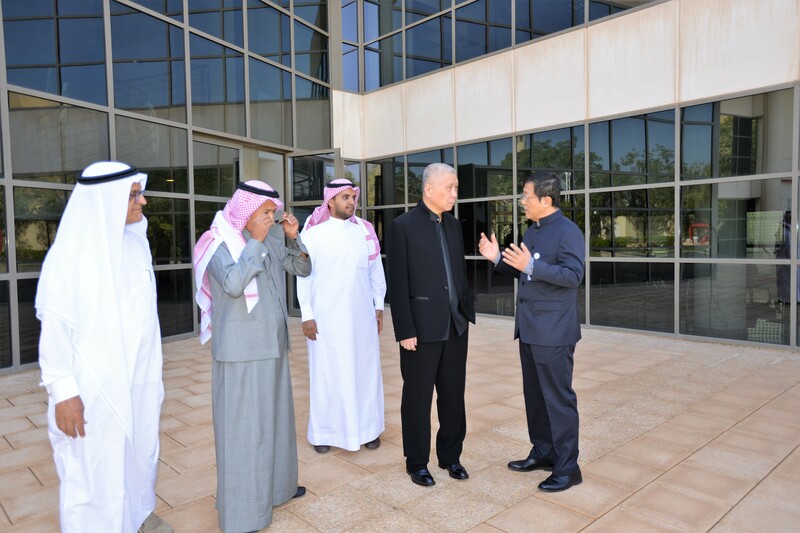 Three officials for the King Abdullah Petroleum Studies and Research Center provided welcome insights into the requirements of data users, namely; the need for free, regular, consistent, timely and transparent figures. KAPSARC’s presentation also exhibited some end uses of energy data including their inputs for policy initiatives, forecasts and investment models. OAPEC presentation exhibited the usability and highlights of OAPEC’s energy database. The hands-on nature of the workshop’s training sessions gave delegates the opportunity to learn about JODI definitions in more detail. Specifically, the workshop reinforced an understanding of the techniques required to perform necessary data quality assessments which underpin the accurate and timely completion of JODI questionnaires. 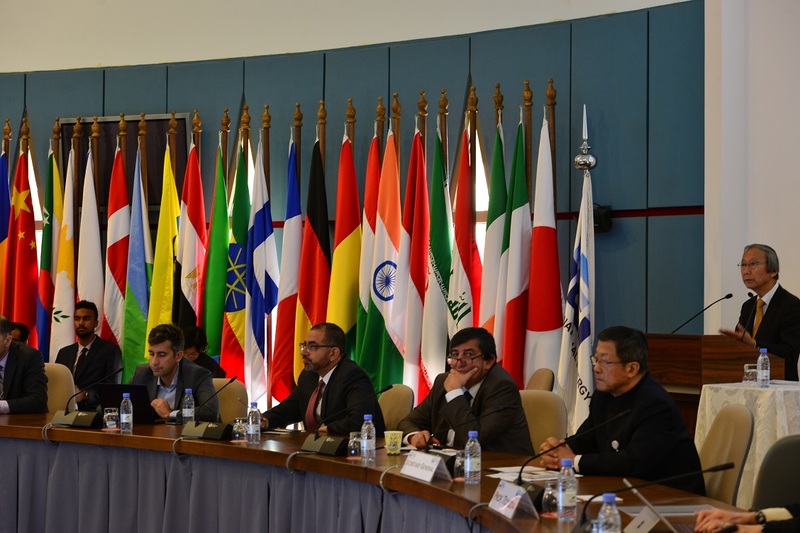 Delegates expressed particular interest in the experience-sharing elements of the programme. The workshop was held as a part of the JODI 5-Year Action Plan toward 2020 to extend its reach to regions where there is room for improving data availability. 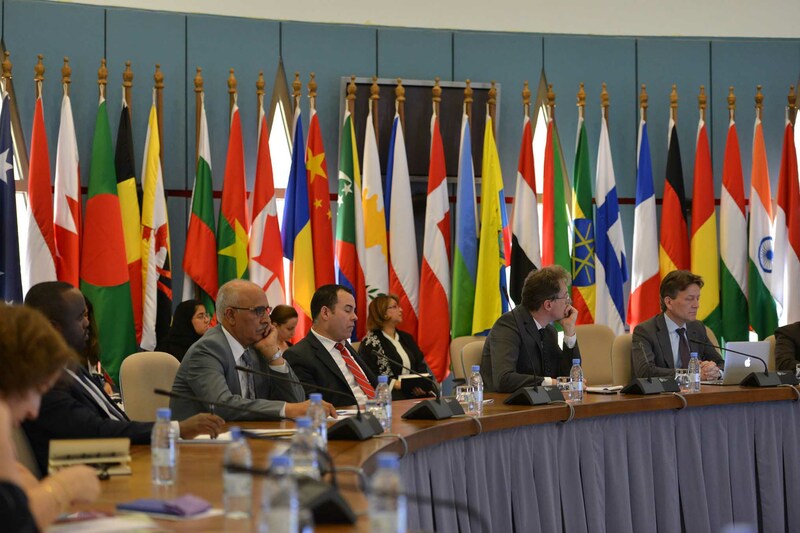 UNESCWA and the seven JODI partners will continue their work with MENA countries to follow-up on commitments and action items agreed in Beirut with the aim of capitalising on the experience gained through this successful workshop. 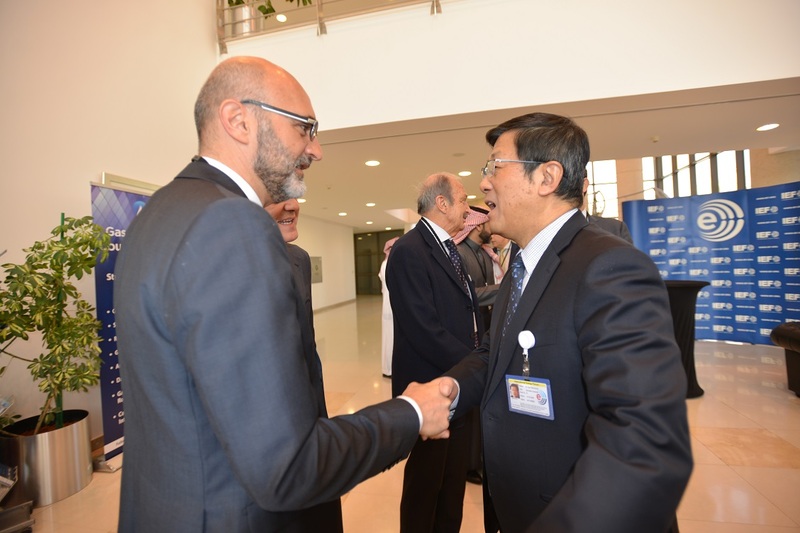 IEF Secretary General, Dr Sun Xiansheng, welcomed Mr Ma Weidu to the IEF Secretariat on 29 November to give a presentation and lecture on Cultural Exchanges in History between China and Saudi Arabia on Ancient Works of Art with regards to the Belt and Road Initiative. Mr Ma Weidu is a Chinese cultural scholar, writer, expert in Chinese art work who is also the founder of the Guanfu Museum. He hosts multiple popular TV and livestream programs where he shares his experiences in culture and antique collection with his audience. Currently he is a member of China Democratic National Construction Association; and a member of the board of directors of China Association for Friendship; goodwill ambassador for WildAid. 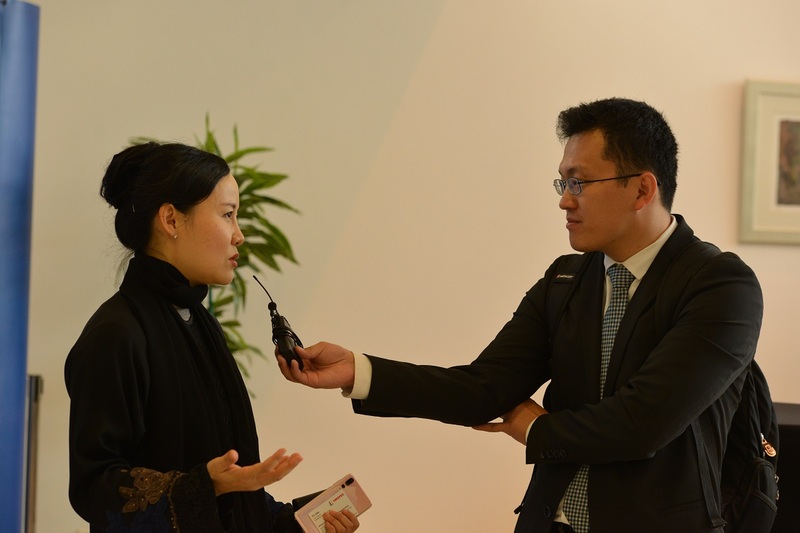 Mr Ma Weidu is committed to promoting Chinese culture to the world. He gave many lectures in schools, government organizations, companies and residential quarters, such as Party School of the Communist Party of China, National School of Administration, and Chinese Academy of Social Sciences and so on. He was invited to give lectures at the United Nations Headquarters in Geneva, Denver Art Museum in the USA, Confucius Institute in Turkey and so on. 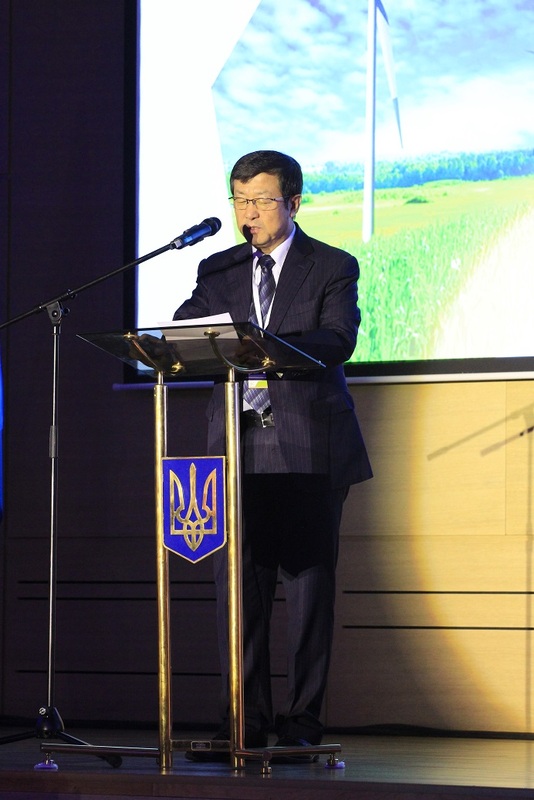 Dr. Sun Xiansheng inaugurated the JODI Information Seminar and Energy Data Exhibition held as part of the UNECE Ninth International Forum on Energy for Sustainable Development in Kiev, Ukraine on 15 November 2018. 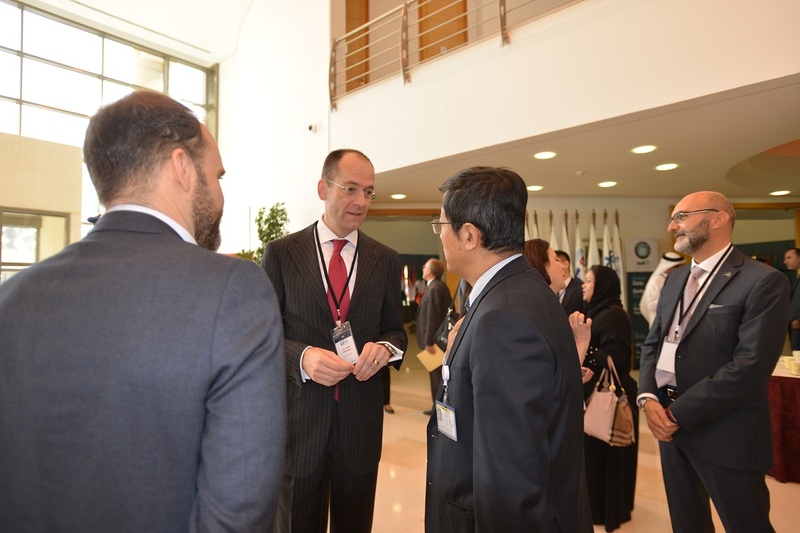 The event was inaugurated along with Mr. Scott Foster, Director, Sustainable Energy Division, UNECE and a representative from the Ministry of Energy and Coal Industry, Ukraine. 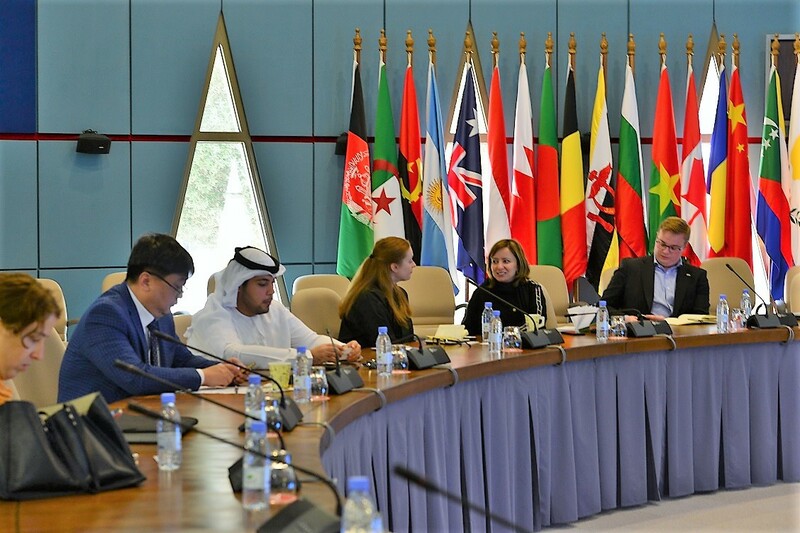 JODI Partners including the GECF, IEA, OPEC, & UNSD and OAPEC, JODI’s newest member, attended the event alongside notable International organisations such as Energy Community and UN-ESCAP. Government officials and industry experts engaged in an interactive session demonstrating JODI’s importance to sustainable development and energy transition. The Partners highlighted JODI’s collaborative framework among national administrations, JODI partners and data users as the key feature that makes JODI possible. 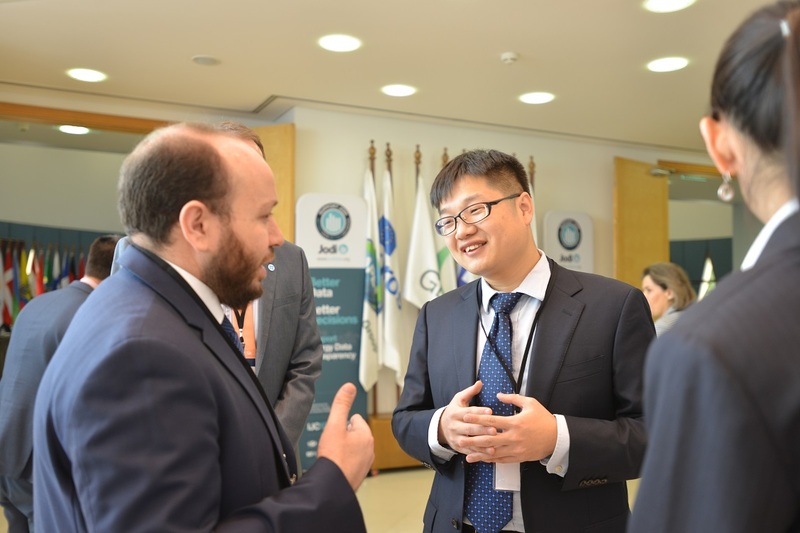 Dr Sun emphasized the need for reliable data and reaffirmed IEF’s commitment to enhance global energy data transparency under the JODI framework, while Fuad AlZayer, Global Coordinator of Energy Data Transparency – JODI, showcased the history of JODI since its inception in 2000 and the different millstones. Delegates from the JODI Partners organisations, International Organisations and Seminar attendees also deliberated on the way forward, how to overcome challenges in compiling JODI World Databases and communicate the benefit of JODI to national administrations. Presentations focused on topics of decarbonization and emissions reduction along with the role of hydrogen in the energy transition. 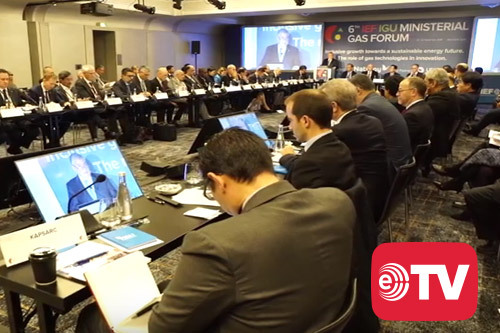 Energy developments from a macro-level viewpoint from the role of natural gas to the evolving nature of energy security and sustainable energy transition were discussed at length through interactive presentations and intelligent questions and answer sessions. The pace of the energy transition was a relevant and timely discussion point that contributed to insightful dialogue. 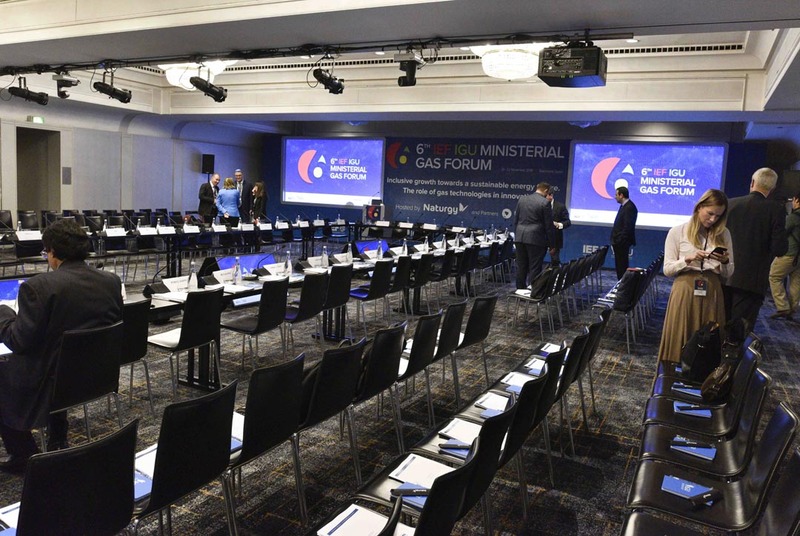 Presentations on topics involving EU-Russia dynamics, the role of infrastructure and climate and decarbonization were held concurrently in parallel work streams. 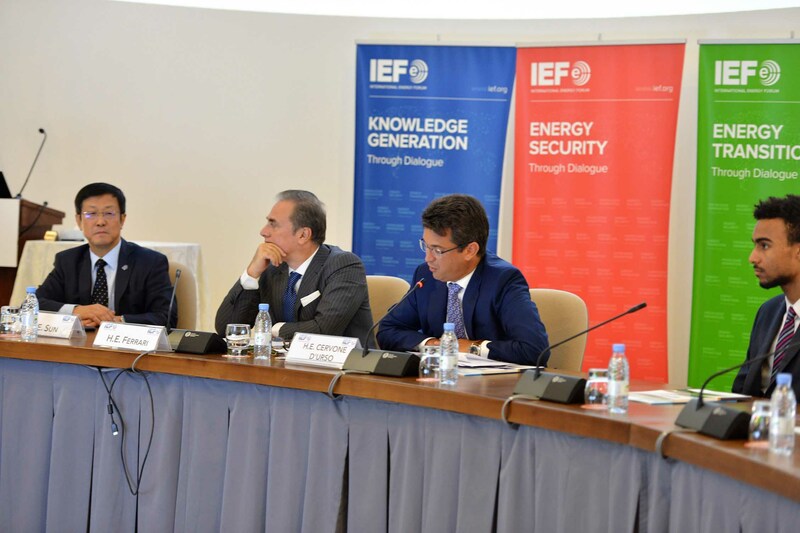 The conference also held interactive discussion under Chatham House Rule on the possibility of an all-electric and renewable world and the new geopolitics of energy featuring speakers from academia, research organizations and governmental departments. The role of electrification was put forward given falling costs and exponential growth of renewable technology. However, the concentration of raw materials and possibility of a technology plateau provides a role for hydrogen and other fuels as a possible complement to renewables. From a geopolitical perspective, discussants examined the intersection of geopolitics and energy and how energy influences the foreign policies of the U.S., Russia and the European Union. The 4th IEA-IEF-OPEC Symposium on Gas and Coal Market Outlooks was held at IEA Headquarters in Paris on 6 November, bringing together more than 100 participants, including experts, government officials, business leaders and representatives from the gas and coal industries. 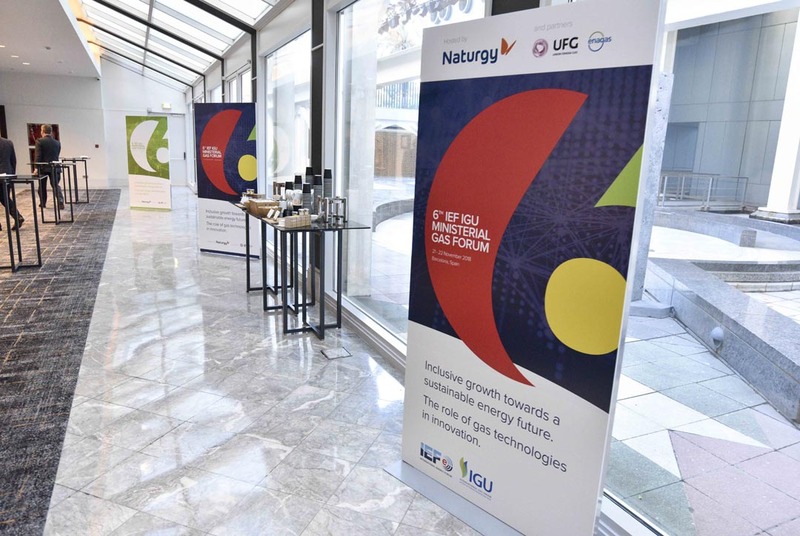 Senior experts from the three hosting organisations along with the GECF and IGU discussed the future of the natural gas and coal market from a short-medium and long-term perspective. Meanwhile, industry experts from Snam S.p.A, Shell and Cheniere Energy presented on natural gas infrastructure capacity, unlocking investment in natural gas and the rise of LNG. 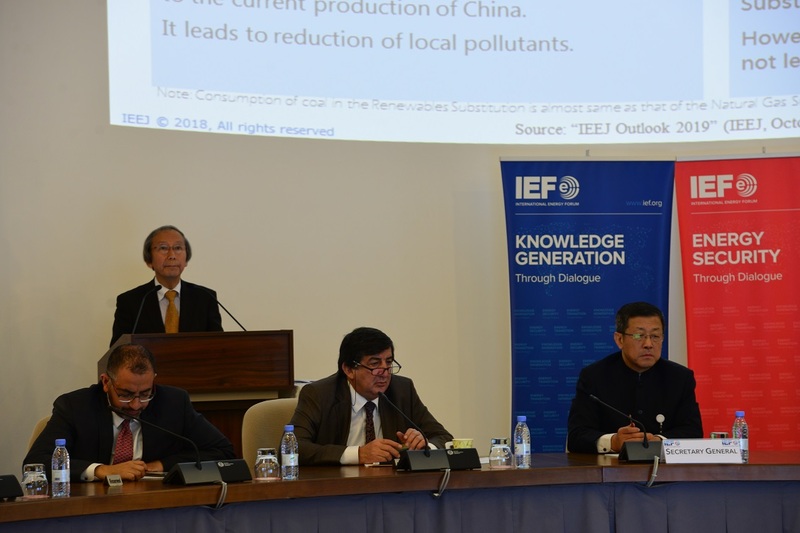 From a coal perspective, Dr Sun Xiansheng, Secretary General of the IEF moderated an important discussion on coal outlooks and its ongoing evolution given the growing role of natural gas and renewables. The last session centred on the competition between natural gas and coal and implications such a dynamic has on long-term sustainability. Discussion revolved around sustainability in gas and coal supply chains, clean technologies and energy transitions. 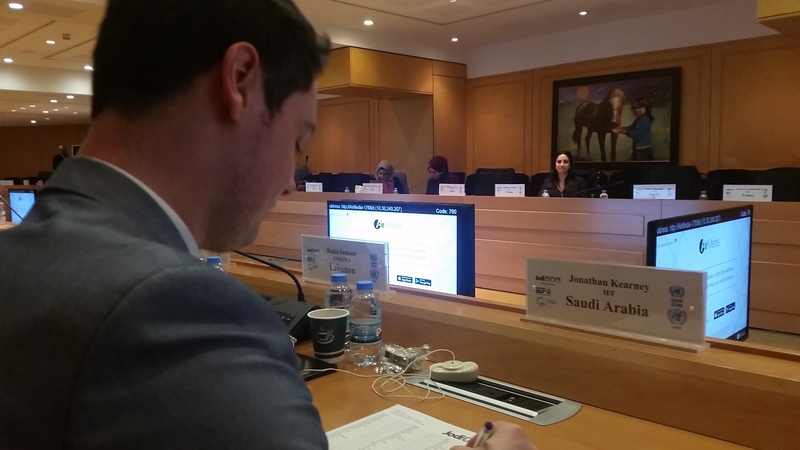 The IEF chaired an Inter Secretariat Meeting of JODI partner organisations among APEC, Eurostat, GECF, IEA, IEF, OLADE and OPEC in Paris on 04-05 October 2018. 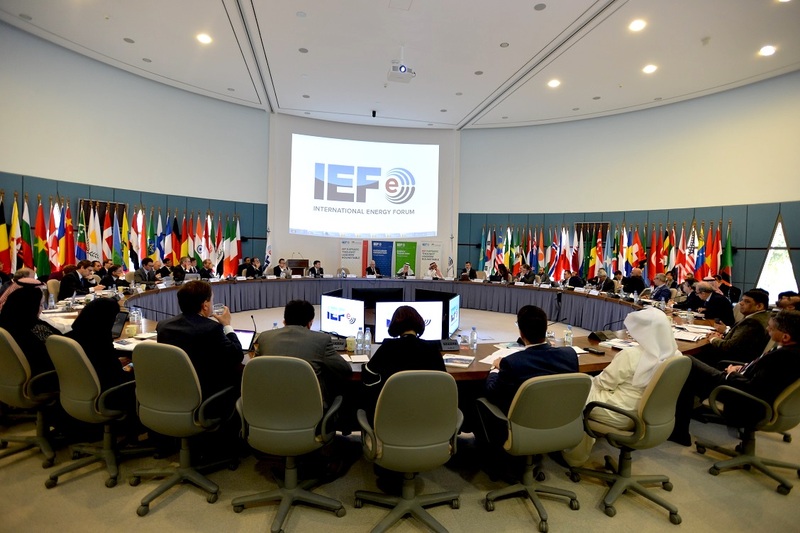 The meeting, hosted by The IEA at their Headquarters in Paris, focused on following up on the guidance received from the JODI Heads and IEF Ministers during the JODI Heads IEF16 Ministerial held in India on April 2018 and reaffirmed action plans and activities for 2019. The need for more granular LNG trade data and approaches to accomplished meet the demand under the JODI framework. The next steps to develop the new 5-year JODI plan covering 2020-2025, and deliberate ideas for new plans objectives. Partners agreed to hold a next JODI Conference during second half of 2019 and reviewed a plan to hold a JODI Training Workshop for MENA Region in cooperation with UN-ESCWA in December 2018. Partners also agreed to work with OPEC Fund International Development and AFREC to plan a follow-up JODI Training Workshop for Sub Sahara Africa during first half of 2019. In the meantime, plans for training workshops for Latin America and Asia-Pacific region during 2019 are underway. 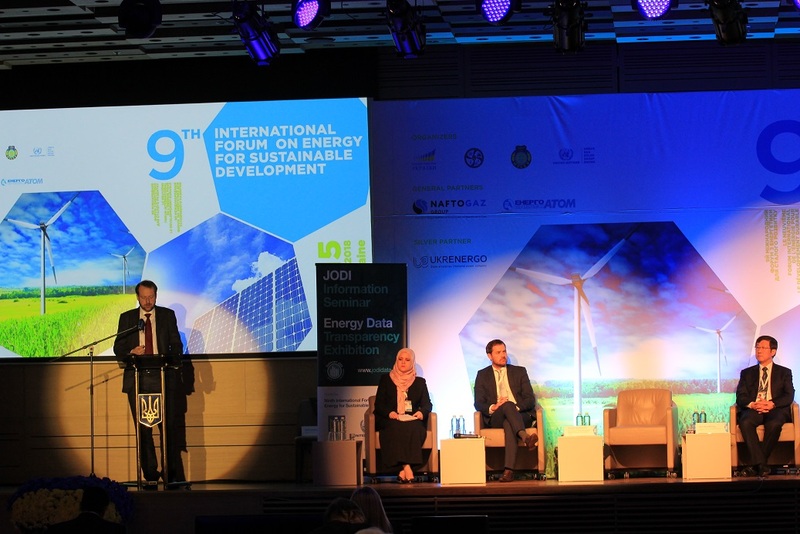 Partners also took notes on progress made on planning for an upcoming JODI User Information Seminar during 9th International Forum on Energy for Sustainable Development, 15 November 2018 in Ukraine. The event is held under framework of collaboration among United Nation Economic Commissions the seminar is expected to benefit from large attendance of key policy makers to the Forum. Energy research and data analytic company Kayrros presented JODI partners their business model charactarised by their application of big data and digital media to their analysis. In the backdrop of increasing attention to digitalisation of the energy industry and policy implication, JODI partners and Kayrros discussed area of possible future cooperation. 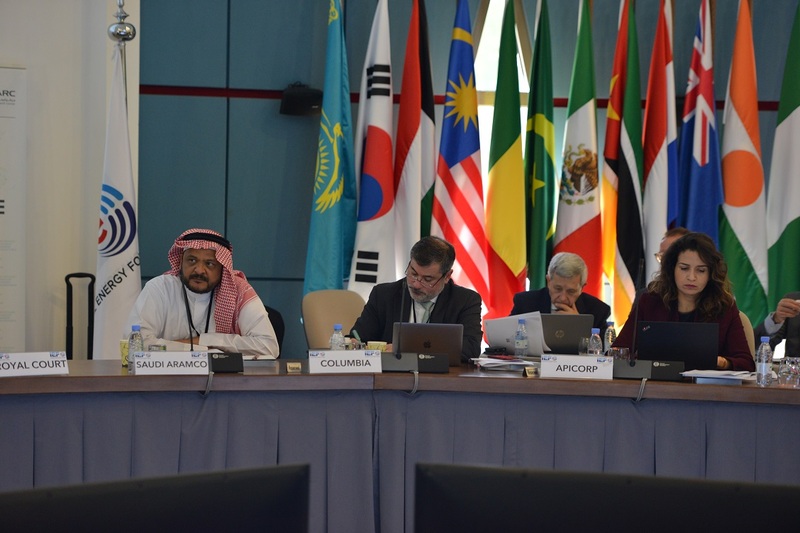 The meeting concluded that JODI partners continues to enhance global energy data transparency through actions identified in the 5-Year JODI Action Plan. 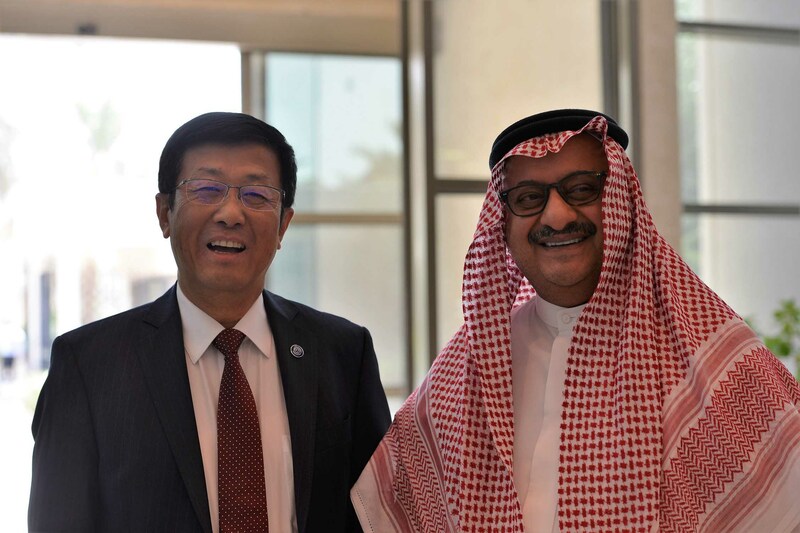 The Secretary General of the International Energy Forum, Dr Sun Xiansheng, participated in the 11th Arab Energy Conference hosted by Morocco under the high patronage of H.M. King Mohammed VI under the theme Energy and Arab Cooperation on 1-4 October in Marrakech, Morocco. The 11th Arab Energy Conference was opened by the conference chairman HE Aziz Rabbah, Minister of Energy, Mines and Sustainable Development, Morocco and HE Dr. Ahmed Aboul Gheit, Secretary General, the League of Arab States on behalf of the Sponsoring Organizations of the Conference that also involved the Organisation of the Arab Petroleum Exporting Countries (OAPEC), the Arab Fund for Economic and Social Development, and the Arab Industrial Development and Mining Organization. 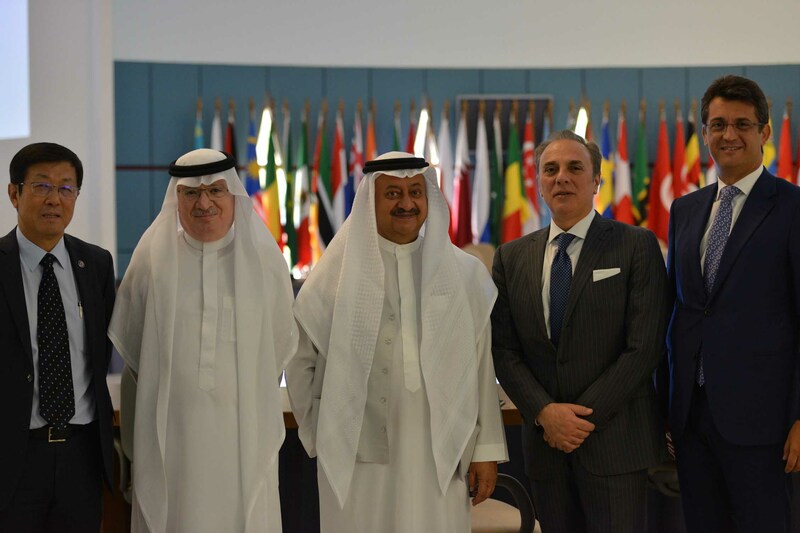 The IEF Secretary General participated in both the first and second high-level ministerial sessions discussing the Transformations in Global Oil and Gas Markets and their Implications for Arab Oil Exporters, and Energy Security as a Global Partnership respectively. 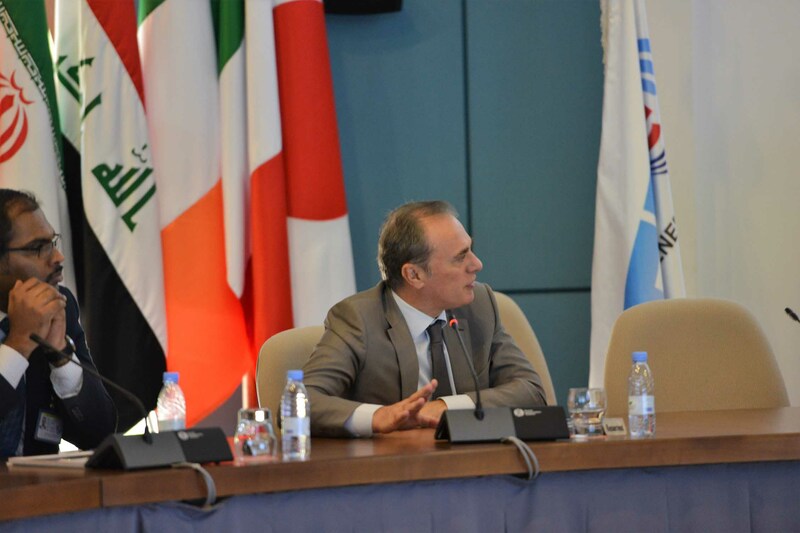 Both sessions were informed by background papers that HE Abbas Ali Al-Naqi, Secretary General of OAPEC, invited from Dr. Bassam Fattouh, Director, Oxford Institute for Energy Studies, and the International Energy Forum. 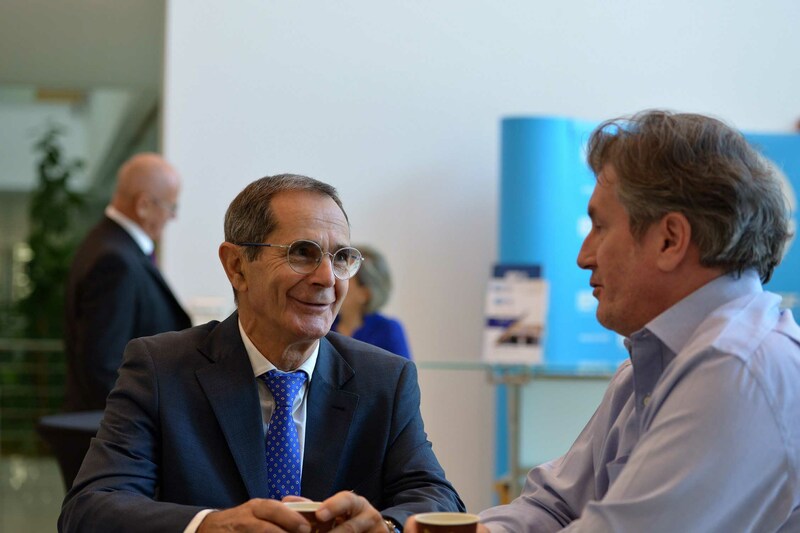 The producer-consumer dialogue and the establishment of the International Energy Forum mark the turning point from the adversarial energy security relations of the past. Energy security concepts and dialogue has become more forward looking and dynamic on the impact of the shale oil and gas revolution, the rapid advancement of renewables and the imperative of fulfilling globally shared goals together. Sustainable and inclusive growth does not ease the burden on producers and consumers to timely mobilise investment in conventional sources of supply, advance efficiency gains and innovation in energy supply chains and avoid market disturbances. Energy dialogue and data transparency including on inventories and spare capacities remains important. 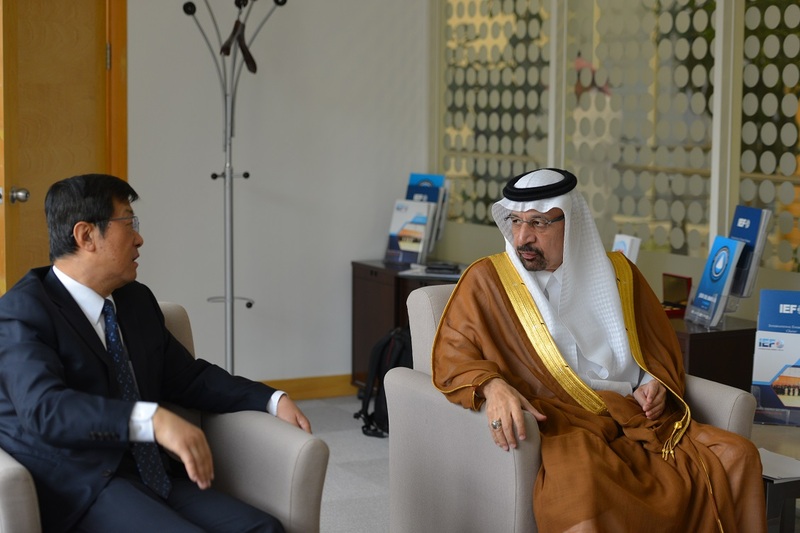 The Secretary General of the International Energy Forum, Dr Sun Xiansheng hosted H.E. 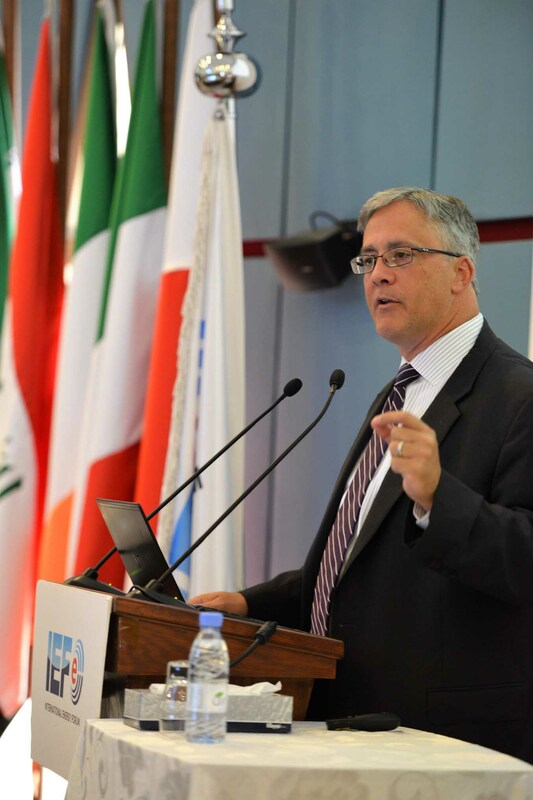 Luca Ferrari, Ambassador of Italy to the Kingdom of Saudi Arabia, to deliver a lecture on the impact of the American sanctions on Iran and the energy industry at the IEF on 12 September 2018. 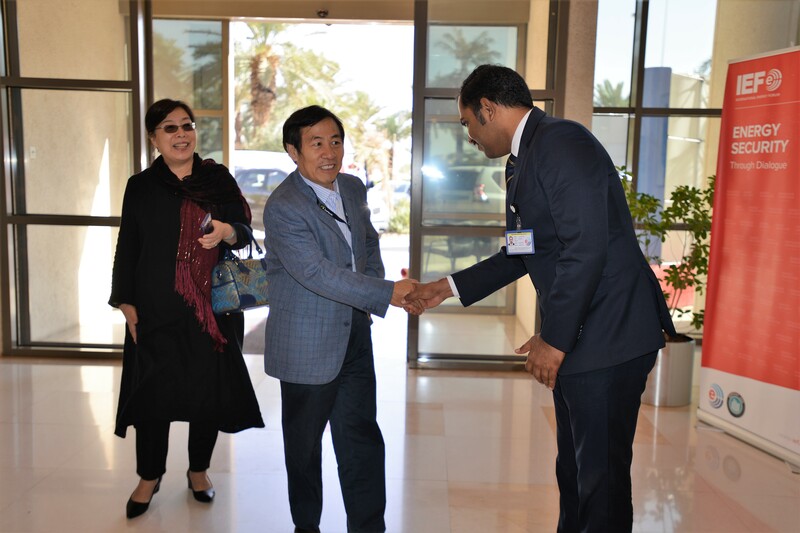 Among the Ambassadors and dignitaries attending, Dr Sun was pleased to welcome H.E. 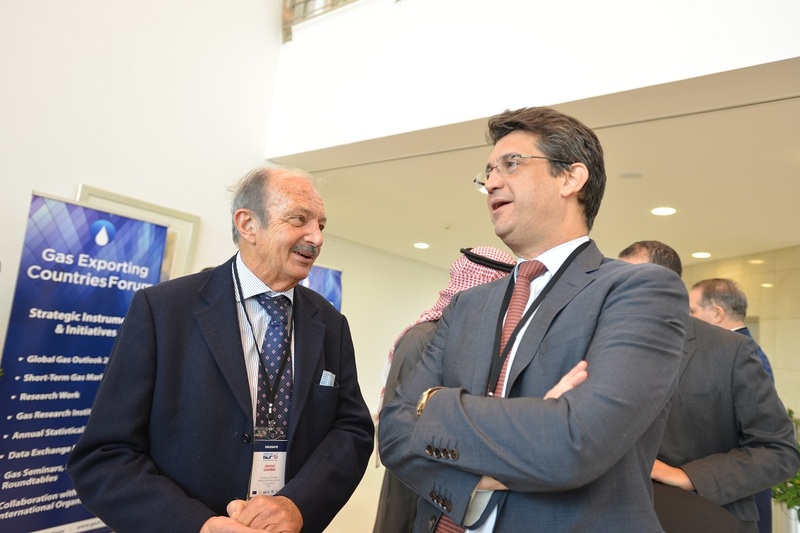 Michele Cervone D’Urso, Ambassador of the European Union Delegation to Saudi Arabia, Bahrain, Kuwait, Oman and Qatar, who kindly agreed to introduce and moderate the session. 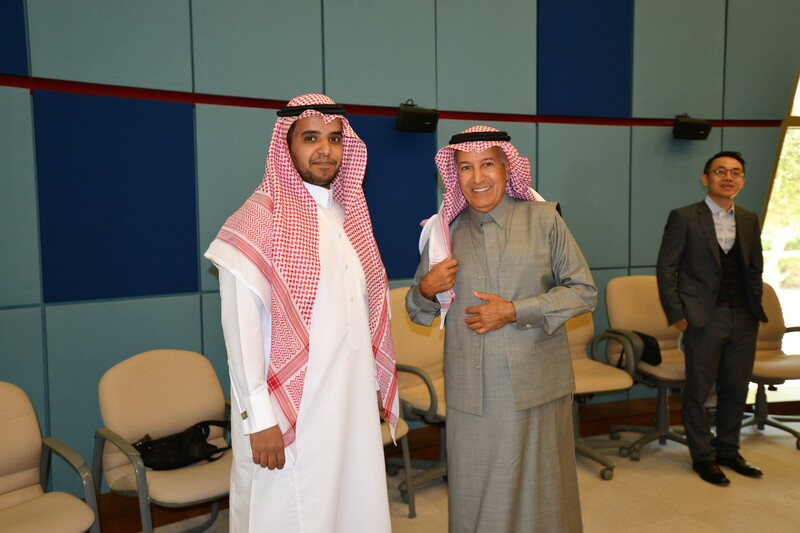 The lecture was conducted under the Chatham House Rule and was attended by high ranking government and industry representatives, as well as senior experts from academia and advisory services. 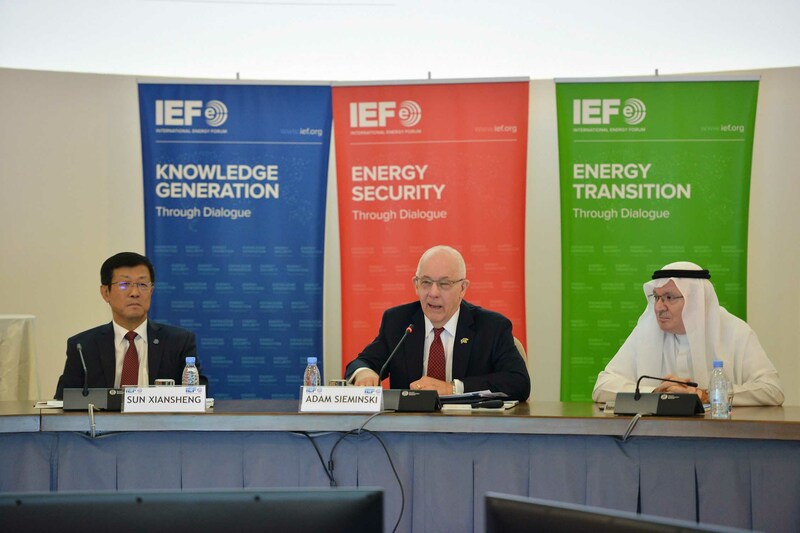 The Secretary General of the International Energy Forum, Dr Sun Xiansheng hosted the President of the King Abdullah Petroleum Studies and Research Center, Mr Adam Sieminski, to present on the World Energy Outlook at the IEF on the 9th of September 2018. Mr. Sieminski started off by highlighting KAPSARC’s mission to advance the understanding of energy challenges and opportunities, through unbiased, independent, and high-calibre research for the benefit of society. 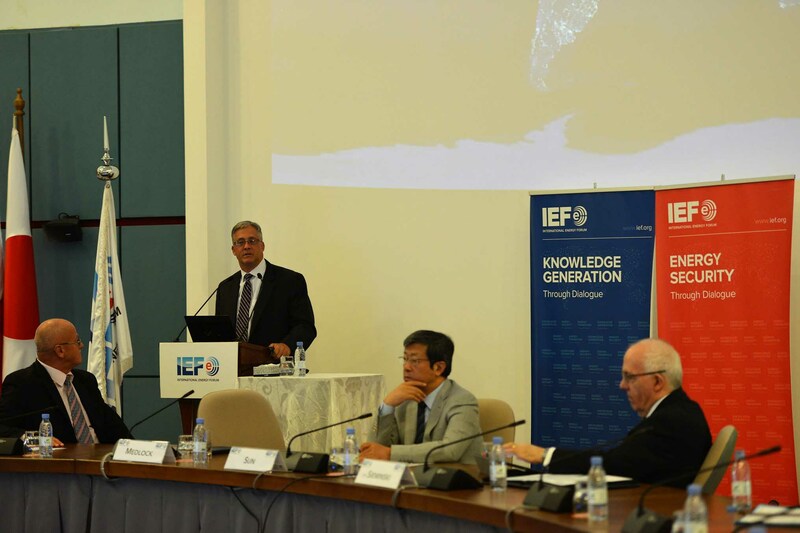 Mr Sieminski emphasized the enduring value of the IEF in providing a unique and neutral platform to strengthen market stability through data-driven dialogue on market, policy, and technology evolutions. The exchange of views on energy security, industry transformations, and reserve mechanisms fosters healthy energy markets for both producers and consumers and the effective achievement of shared goals they pursue together. 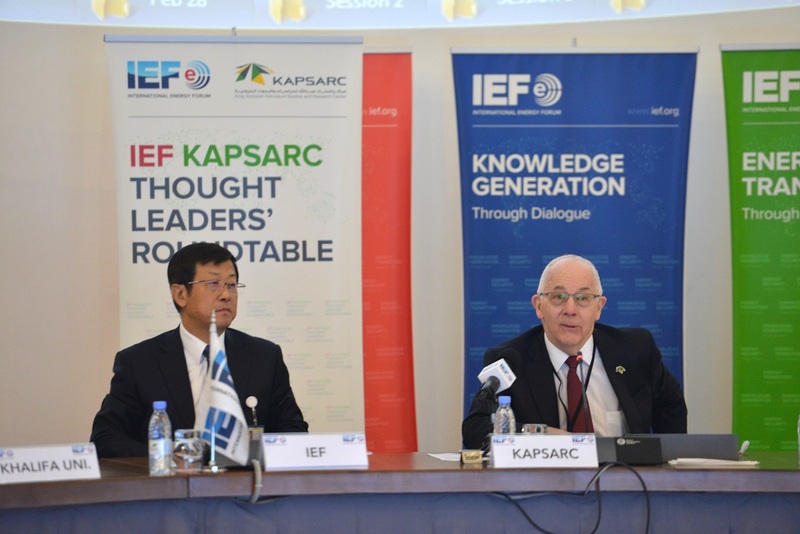 He looked forward to further strengthen collaboration and bringing the growing capabilities of KAPSARC to bear on the IEF platform. Mr Sieminski shared his perspective on global energy demand and pathways to its evolution. He observed that world energy demand will continue to expand on account of average annual increases in economic growth to 2040. These are forecasted to amount to 4.1% and 1.7% for the non-OECD and OECD regions respectively by the International Energy Outlook the U.S. Energy Information Administration released this summer. Forecasts show that petroleum, liquids and natural gas dominate growth, alongside renewables that will continue to grow at a steady rate and amount to 17% of global energy consumption by 2040. Coal demand will plateau after 2020 and nuclear shows modest growth comprising 21% and 5% of the global energy mix each in 2040. Electrification of energy demand will account for 40% of growth; a new regional pattern that China and India lead with other non-OECD countries. Against the background of growing uncertainties reflected in the wide range of oil demand forecast across scenario’s, Mr Sieminski underlined that the need for oil will remain robust for decades. Large scale investment in new conventional production is essential to compensate for natural decline rates and maintain secure supplies also when tight oil plateaus and non-OPEC production slows in the 2020s. Though advances in new vehicle technologies command attention, by 2040 and beyond transportation will still be driven by the internal combustion engine. Oil demand growth in the industry and petrochemicals sector remains steady over the forecast period. With reference to KAPSARC’s research on inventory assessments, Mr Sieminski noted that energy security concepts have evolved from concerns with physical availability to price volatility. Net flows and inventory levels, including 5-year average measurements are insufficient indicators of market balance. As the function of inventories and idle capacity is changing in the new market environment the velocity of oil will matter more to market stability in future. 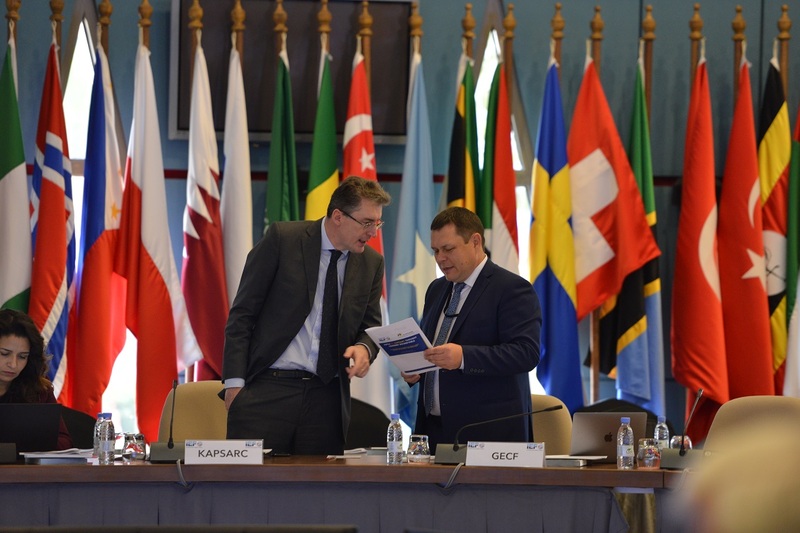 Mr Sieminski ended his presentation with a reference to KAPSARC’s work on the positive contribution to the global economy of OPEC’s spare capacity. Published earlier this year in the peer-reviewed Energy Journal, the paper provided an estimate of the $170-$200 billion annual value to the world of OPEC’s willingness (especially in Saudi Arabia) to temper volatility in oil prices by using spare capacity to, occasionally, add or remove oil from markets. The Secretary General of the International Energy Forum (IEF) Dr Sun Xiansheng and the President of the Chinese National Petroleum Corporation (CNPC) Research Institute of Petroleum Exploration and Development (RIPED) Dr Zhao Wenzhi welcomed senior representatives from the international energy industry, and high-ranking government representatives of IEF member countries at the 2nd Industry Advisory Committee that IEF and RIPED co-hosted at the Institute’s Science and Technology Centre in Beijing China on 31 July 2018. 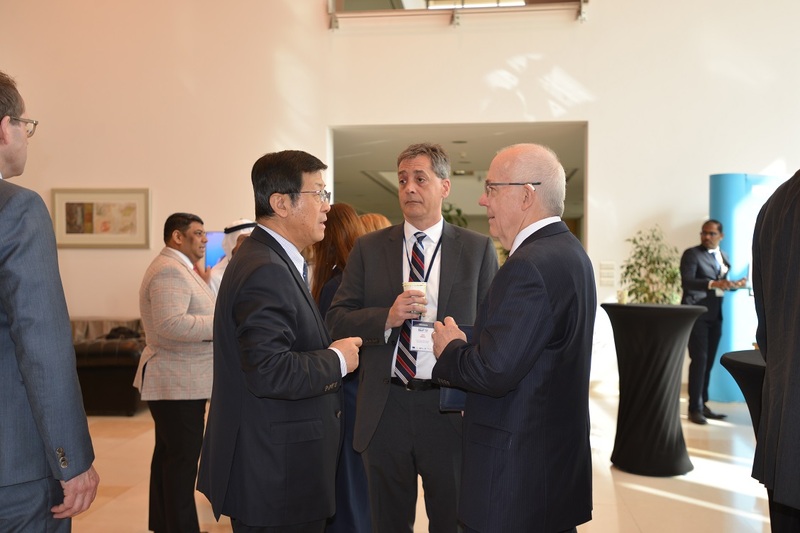 Gathered under the theme “Energy Transformations and Oil and Gas Strategies” participants explored how new technology, innovation and policy evolve and what promise oil and gas strategies and market fundamentals hold for energy market stability and orderly transitions in China and the world. The role of technology is pivotal to global energy security and network stability. Technology enhances rational development of natural resources, efficiency gains in energy supply chains and enables synergies among flows in industrial clusters to enhance productivity. This enables viable transformations for inclusive growth towards healthy and sustainable futures that rely on both hydrocarbon and renewable sources to work in concert with industry and government stakeholders in ever more interconnected energy markets. 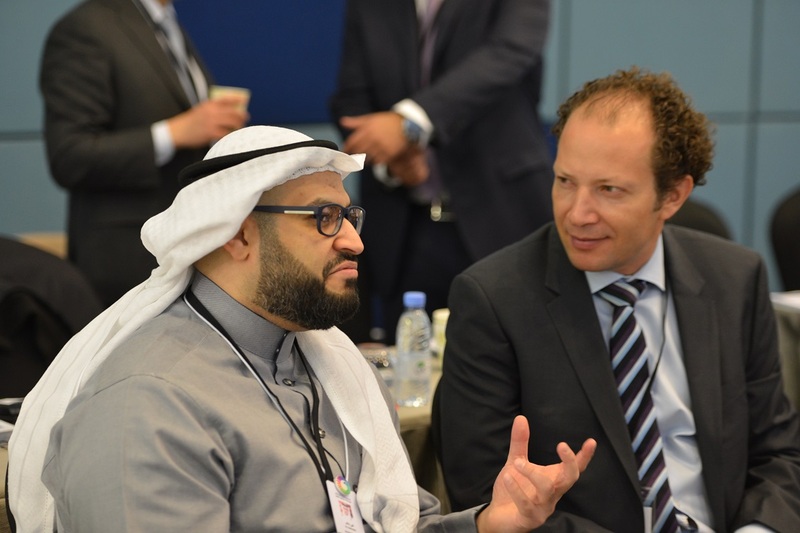 Discussions at the 2nd Industry Advisory Committee Workshop took place in two panel sessions moderated by Amos Hochstein, Senior Vice President, Marketing, Tellurian and Dr Kamel Ben Naceur, Chief Economist, Abu Dhabi National Oil Company, inviting perspectives from a wide selection of senior government and industry panelists to deepen understanding and strengthen confidence in global energy market functioning. Discussions were governed by the Chatham House rule, presentations are retrievable below. Photo: Workshop attendees group photo. Kim Code, Managing Director, Shell China Exploration & Production Co. Ltd.
Photo: Frank Fannon, Assistant Secretary of State for the Bureau of Energy Resources (ENR), U.S. Department of State addresses Panel Session I. Photo: Panel Session II speakers. 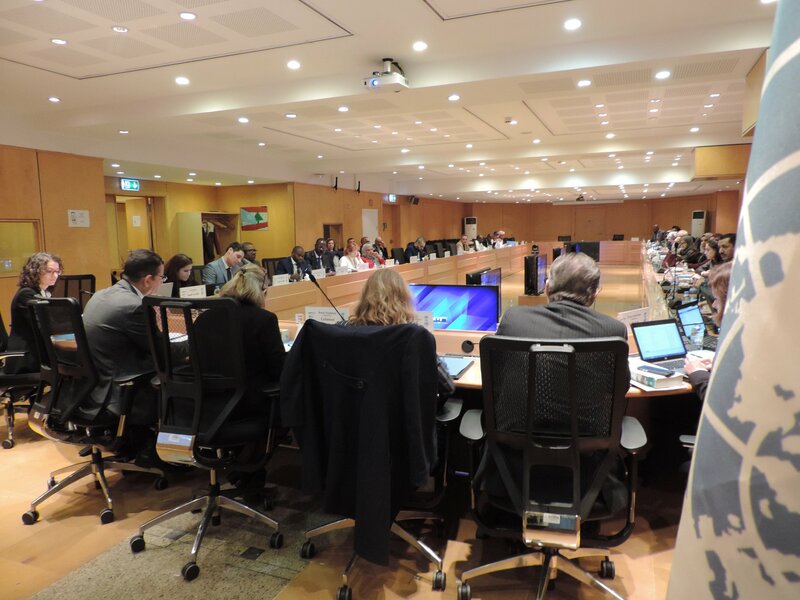 The Second JODI Inter Secretariat Meeting of 2018, chaired by the International Energy Forum, was hosted by Eurostat on 4-5 July at the Eurostat Headquarters in Luxembourg. Representatives of the JODI Partner Organisations, including APEC, Eurostat, IEA, IEF, OLADE, OPEC & UNSD, met to discuss the progress of JODI initiatives and the way forward in light of the guidance and feedback received from the JODI Heads and IEF Ministers during the 16th IEF Ministerial Meeting and Heads of JODI Meeting held in India on 10-12 April, 2018. The need for more granular LNG trade data and how this can be accomplished under the collaborative JODI framework. The JODI Partners agreed to host the next JODI Capacity Building Workshop in collaboration with the United Nations Economic and Social Commission for Western Asia (UNESCWA) for the Middle East/North Africa region in December 2018. The Partners also encouraged ongoing work with The OPEC Fund for International Development (OFID) and the Africa Energy Commission (AFREC) to follow up on efforts to increase the quality of JODI Data submission from Africa. 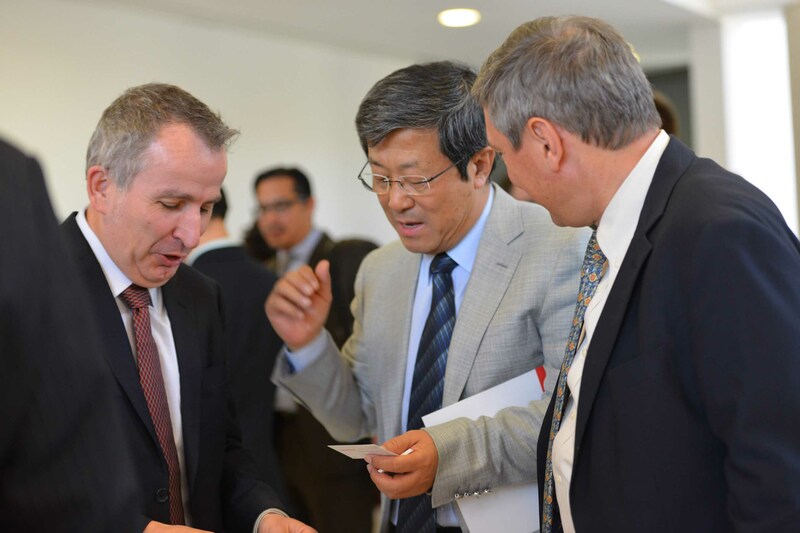 The partners agreed to host JODI Capacity Building Workshops in Africa and Latin America during the first half of 2019, followed by a Workshop in Asia in late 2019. 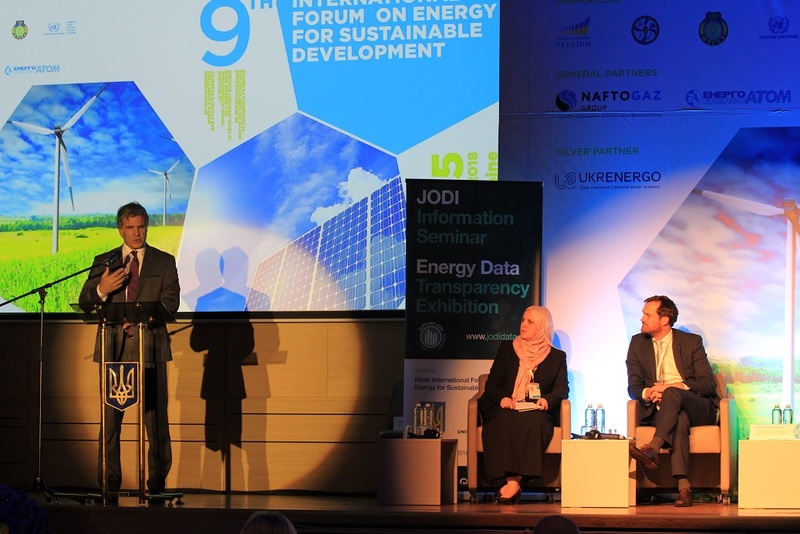 The Partners agreed to continue the JODI User Information Seminars with plans to host the next Seminar alongside the UNECE 9th International Forum in Ukraine in November 2018, taking advantage of the large number of energy experts who will be in attendance. Finally, the JODI Partners deliberated on how to continue to improve cooperation and inclusiveness of collaboration with other regional energy organisations such as AFREC, OAPEC, OFID and others, who are keen to share benefits of association with JODI and strive towards greater global data transparency. The 2018 conference was focussed on how energy governance and innovation play a role in China’s “New Belt Road Initiative” (BRI) given the importance and scale of the BRI as it relates to global energy security. 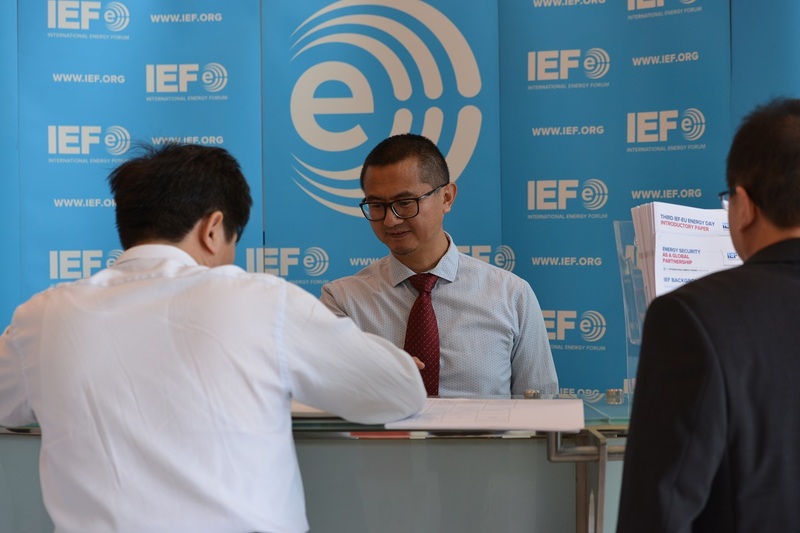 Presentations focussed on the future of China’s energy demand followed by projects dedicated to the promotion of development and connectivity. Sustainability was also an important topic throughout the conference. 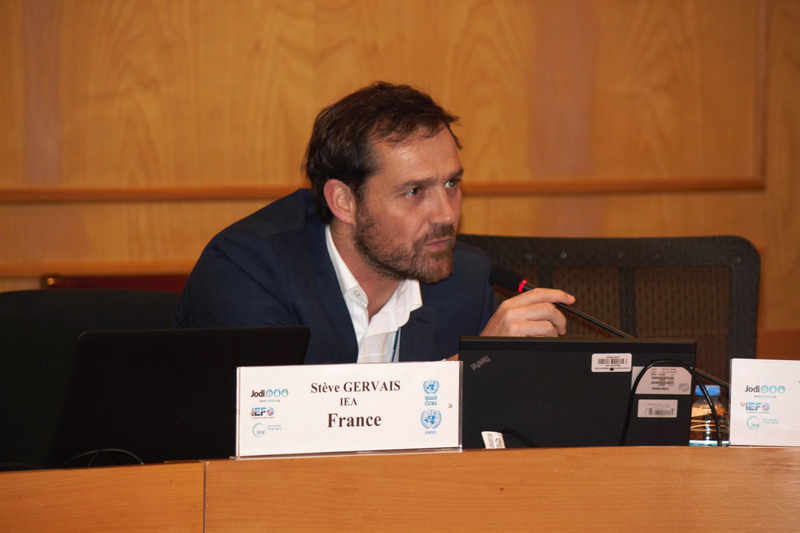 The future of energy as it pertains to “smart society” was discussed at length through presentations by think tanks and companies specialising in renewable energy solutions. The forum also addressed energy geopolitics featuring speakers from Chinese and American think tanks with special emphasis on energy governance and President Xi Jinping’s geopolitical and geo-economic vision in Eurasia. 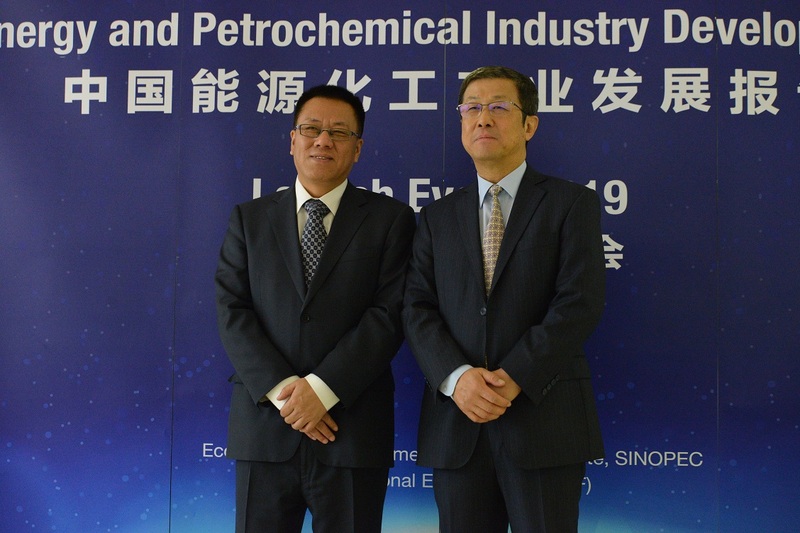 Detailed analysis of developments in Asia Pacific oil and gas markets including Asian refining and trade and LNG upstream, downstream, transportation and infrastructure dynamics were also discussed. 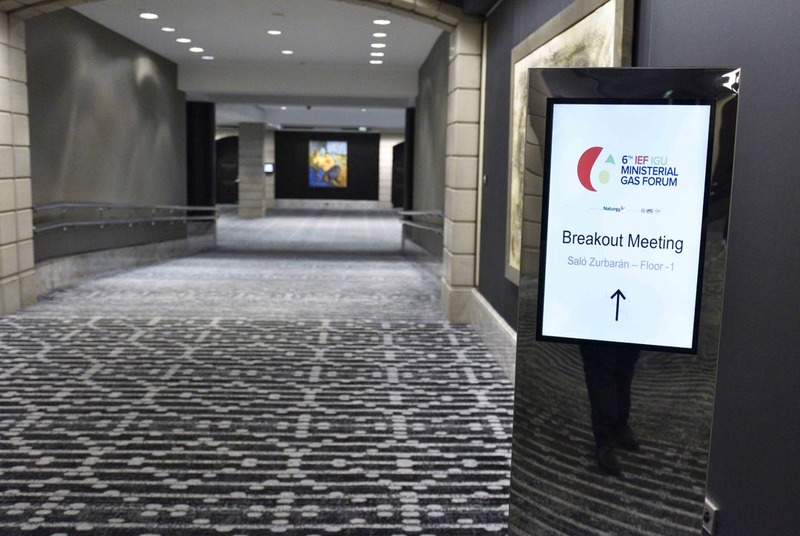 The forum contributed to sharpening collective focus on the development of the LNG industry in China, the future of LNG imports in light of increasing coal to gas switching, and related new investments in gas storage. 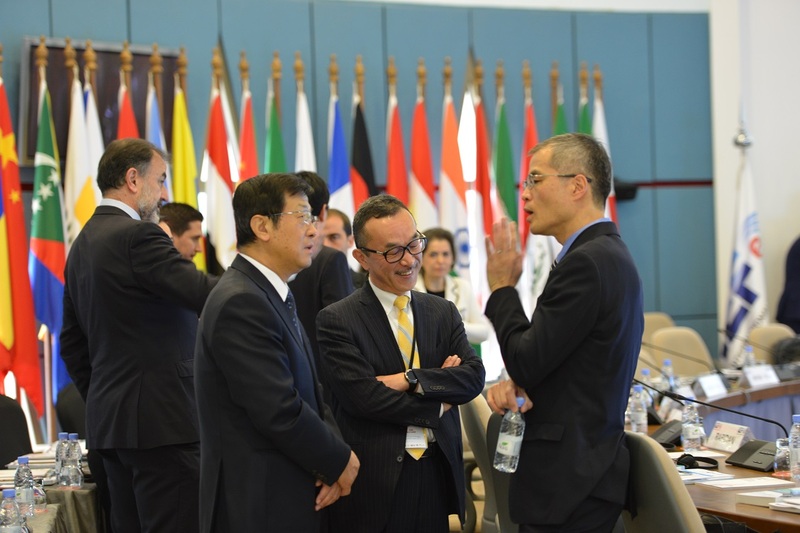 Dr Sun Xiansheng, Secretary General, International Energy Forum (IEF) participated in the 2nd G20 Energy Transitions Working Group, and G20 Energy Ministers Meeting hosted by the Presidency of Argentina under the theme “Building Consensus for Fair and Sustainable Development” on 13-15 June 2018 in San Carlos de Bariloche, Argentina. To advise the G20 Delegations, the Presidency of Argentina circulated the Concluding Statement of the IEF16 Ministerial Meeting that HE Dharmendra Pradhan, Minister for Petroleum and Natural Gas and Minister for Skill Development and Entrepreneurship of India, issued on behalf of the IEF16 host country, India, on 12 April 2018, in advance of the G20 Energy Transitions Working Group and Energy Ministers Meetings. The IEF Secretary General was given the floor in Session III and IV on Energy Access and Data Transparency of the Energy Transitions Working Group to briefly highlight interrelations and IEF engagement in these areas that it carries out in close collaboration with the OPEC Fund for International Development (OFID) and as the coordinator of the Joint Organisations Data Initiative (JODI) with JODI Partner Organisations: The Asia Pacific Economic Cooperation (APEC), Eurostat, the Gas Exporting Countries Forum (GECF), the International Energy Agency (IEA), Organización Latino Americana de Energia (OLADE) , the Organization of the Petroleum Exporting Countries (OPEC), and the United Nations Statistics Division (UNSD). 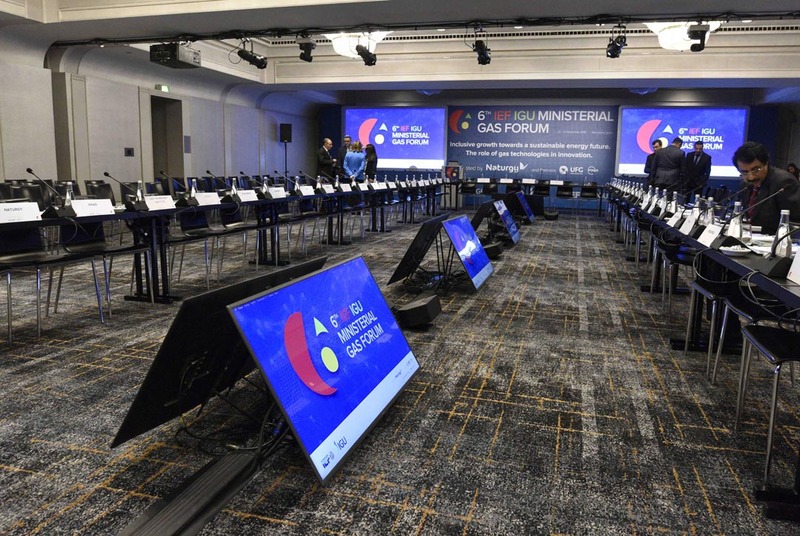 The Secretary General took part in the G20 Energy Ministers Meeting proceedings and held several bilateral meetings with participating heads of delegations. Dr Sun Xiansheng, Secretary General of the International Energy Forum took part in the Natural Gas Day hosted by the International Gas Union and the Argentinian Institute of Oil & Gas (Instituto Argentino del Petróleo y del Gas, IAPG) under the theme “Natural Gas: Facilitating Growth and Cleaner Energy Systems” in San Carlos de Bariloche on 12 June 2018. Benefitting from the institutional support of the Ministry of Energy and Mining of Argentina, the meeting took place on the eve of Argentina’s G20 Energy Transitions Working Group and Energy Ministers Meetings on 13-15 June. David Carroll, IGU President and HE Juan José Aranguren, Minister of Energy and Mining of Argentina welcomed delegates and provided opening statements. 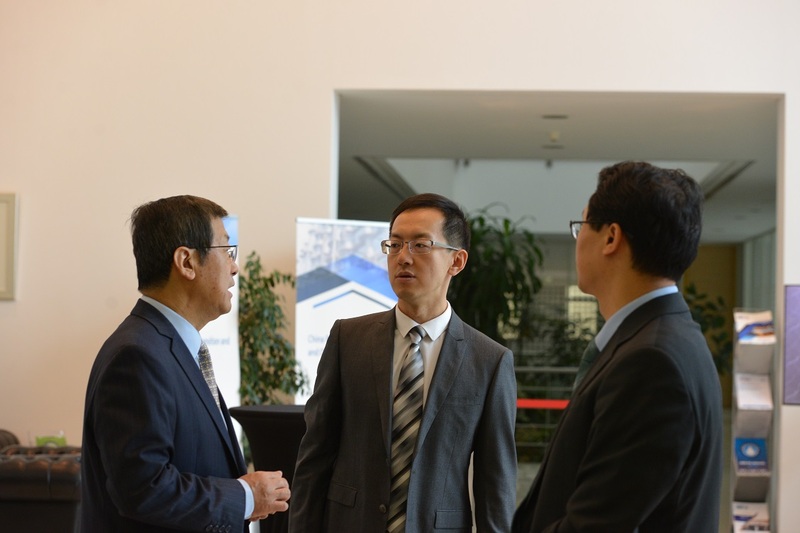 Dr Sun Xiansheng moderated panel session discussions on the role of gas as part of the pathway to achieving a sustainable energy future. Other panel sessions focused on gas as an abundant, accessible and flexible energy source, and contributor to climate change mitigation and clean air. Discussions demonstrated that gas is both a catalyst for orderly energy transitions and sustainable development.